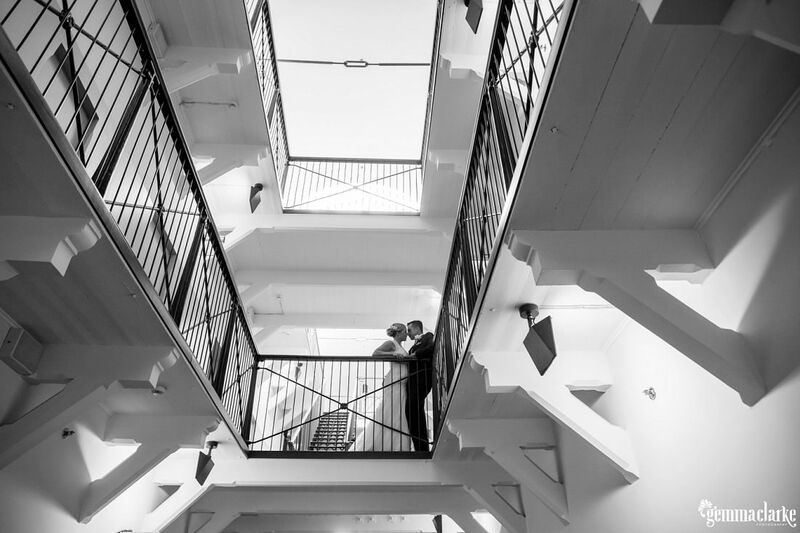 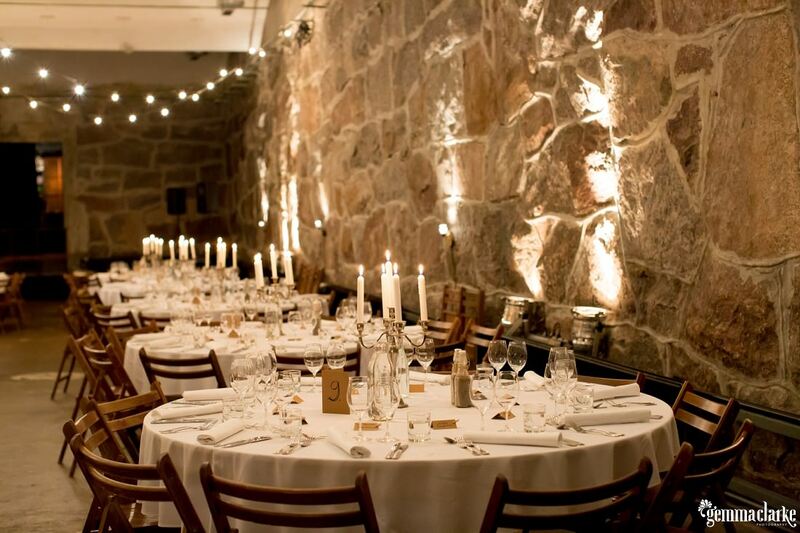 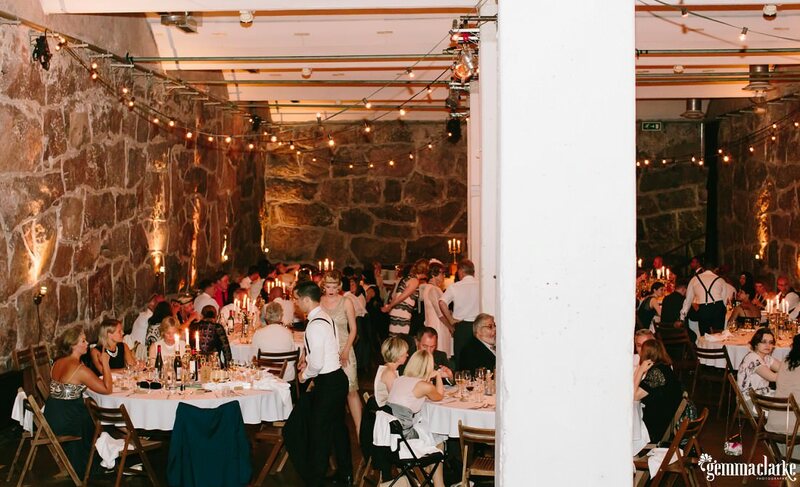 Heini and Miska's Helsinki Katajanokka Wedding in a Prison! 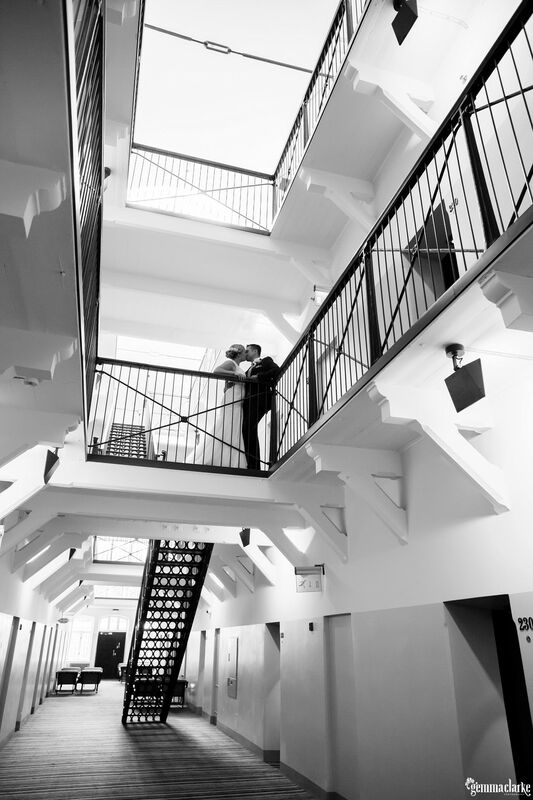 The ‘ball and chain’ scenario comes to mind when you talk about prisons. 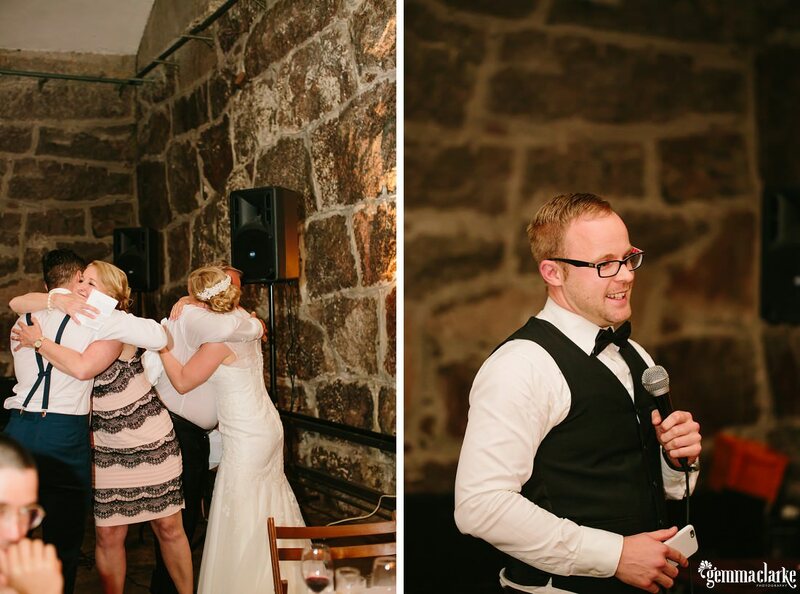 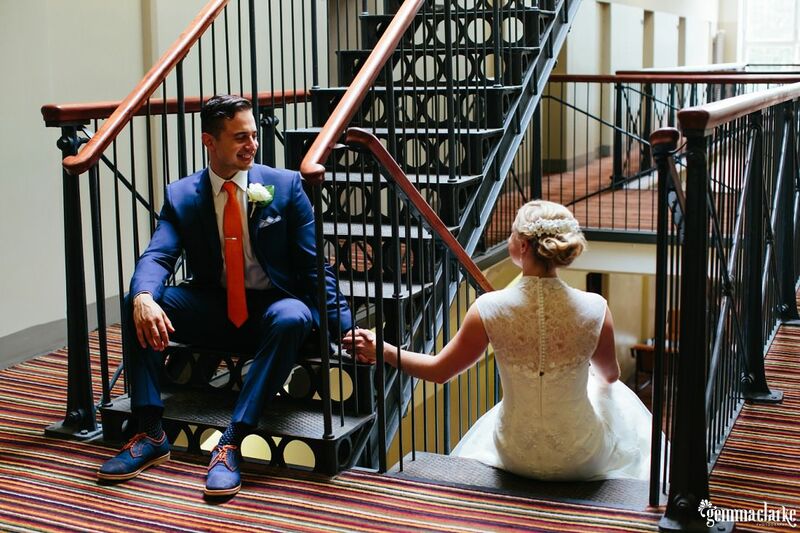 So it doesn’t surprise me that Heini and Miska wanted to get married in a prison chapel! 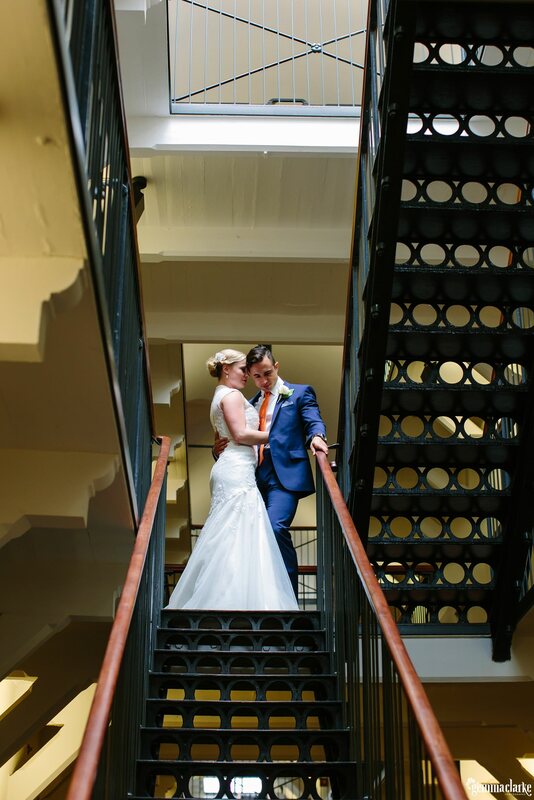 They are a very relaxed couple and do like to have fun so the prison was a perfect choice! 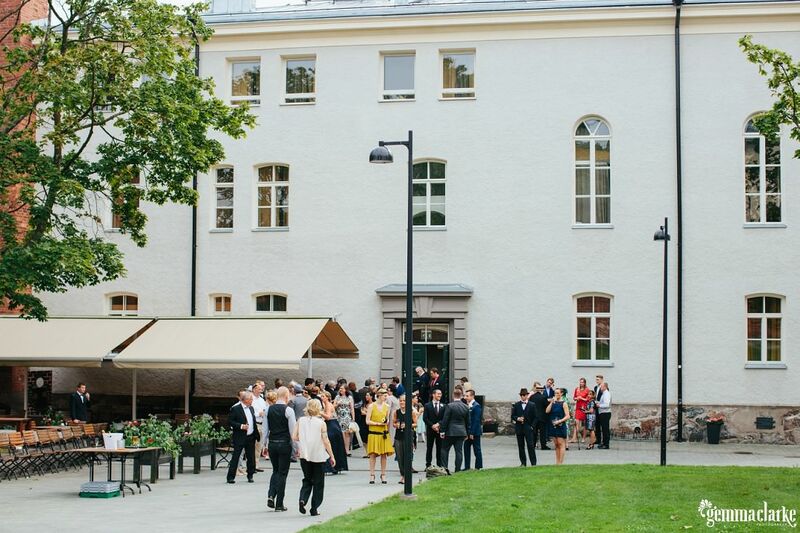 Their Katajanokka Wedding was held at the Best Western Hotel in Katajanokka and then the Wedding Reception was at Agroksenmäen Holvikellari. 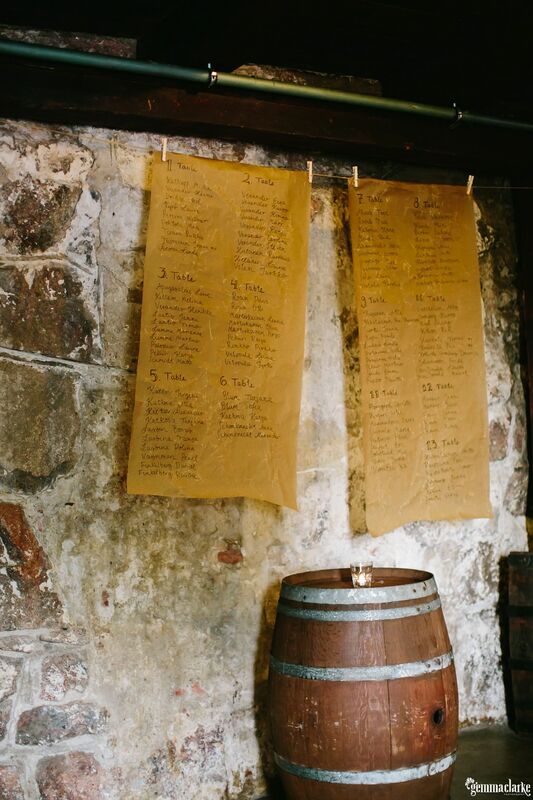 A very beautiful wine cellar with amazing rustic atmosphere! 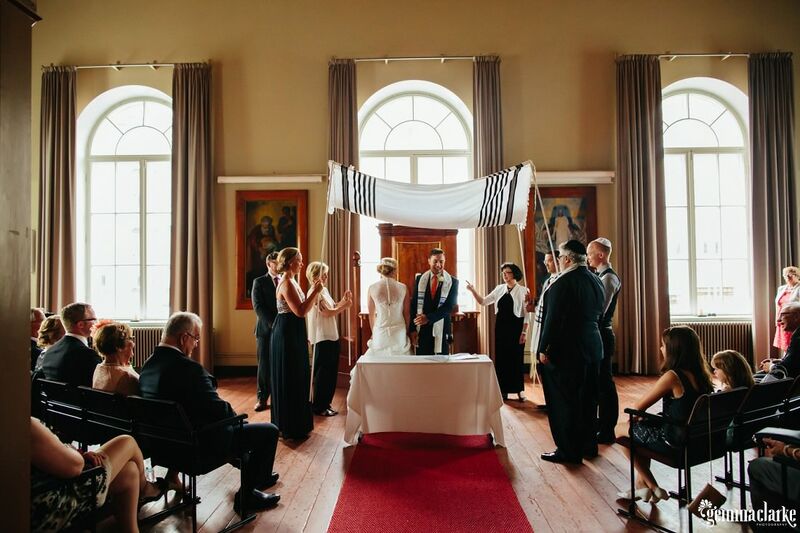 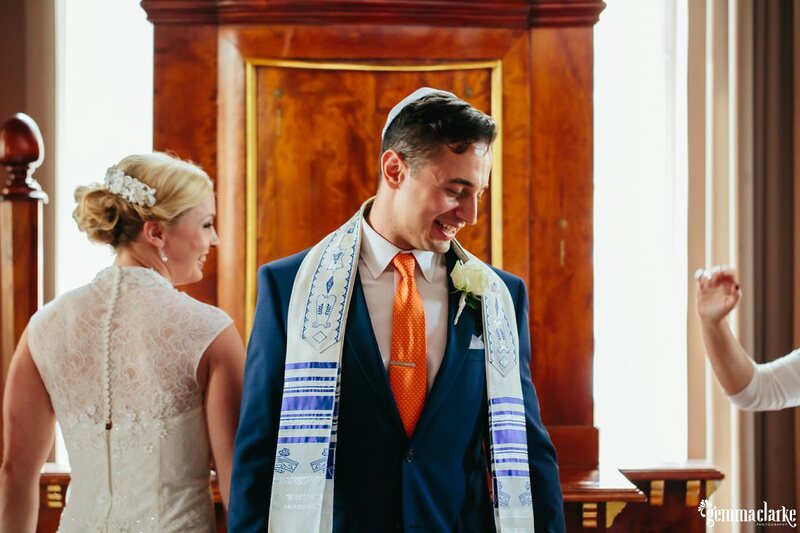 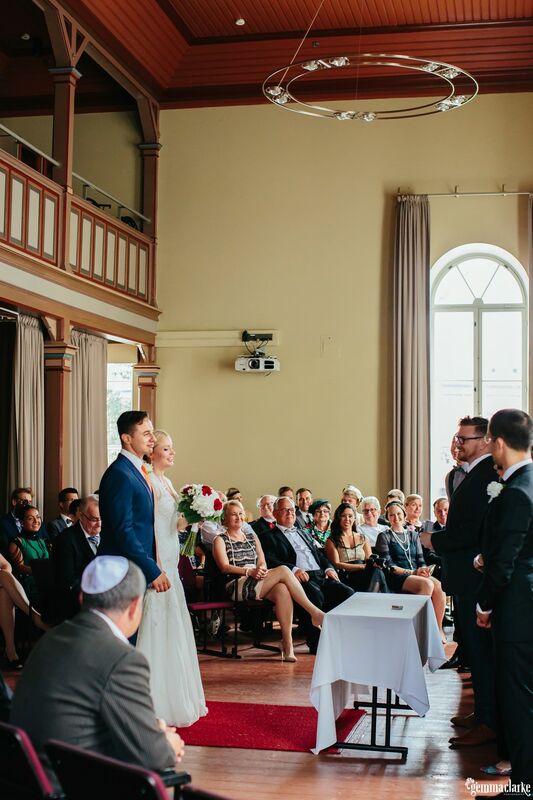 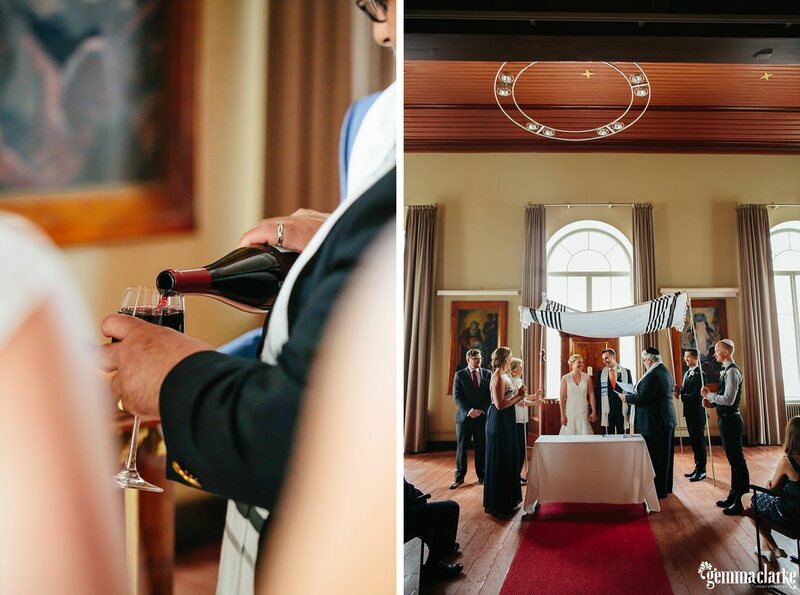 The ceremony was a mixture of civil and Jewish celebrations. 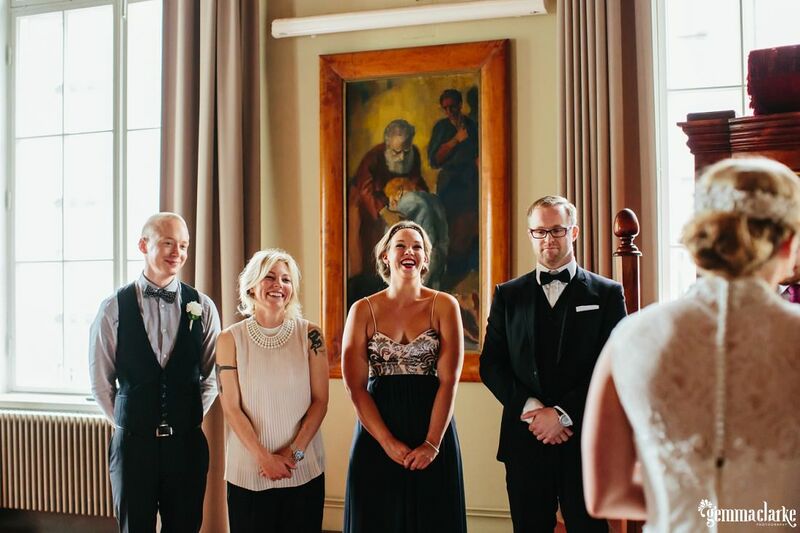 A glass was crushed, a bride walked around her husband seven times and lots of amusing lines were given by the celebrant Greg Killion. 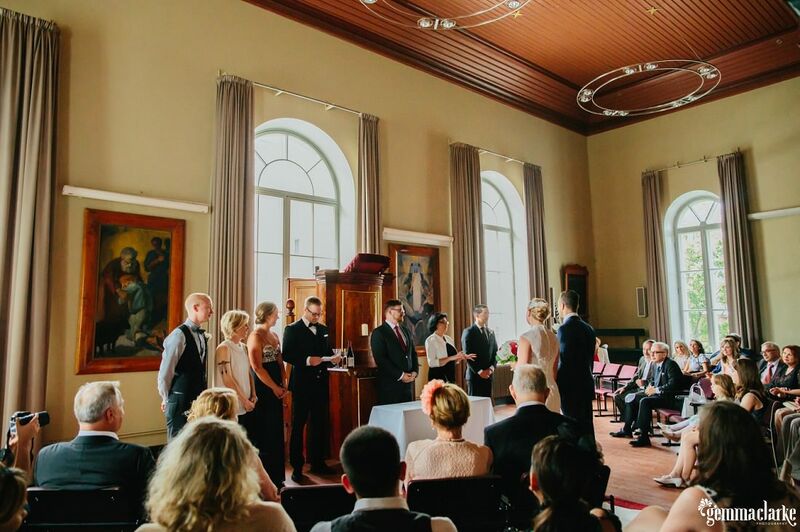 The ceremony was also translated from English into Finnish and Russian. 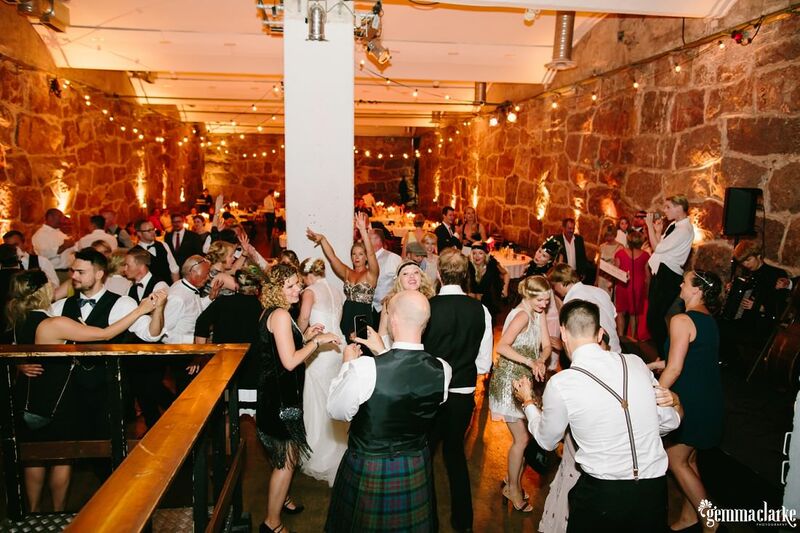 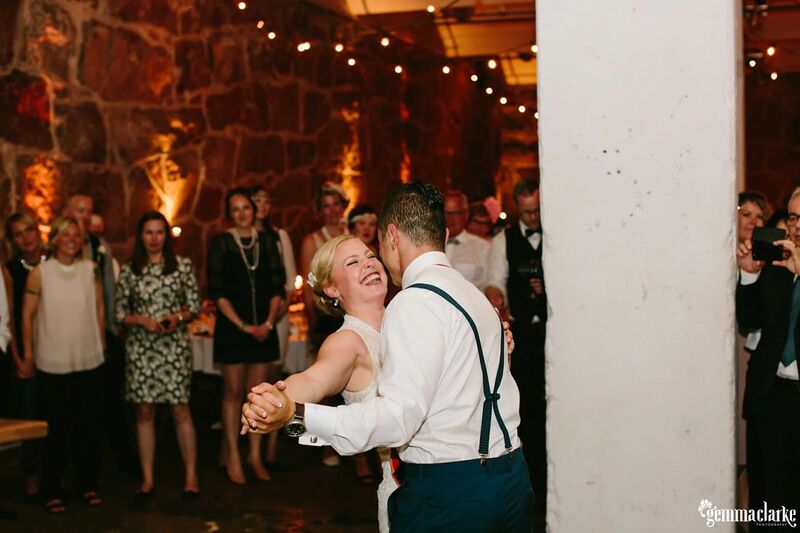 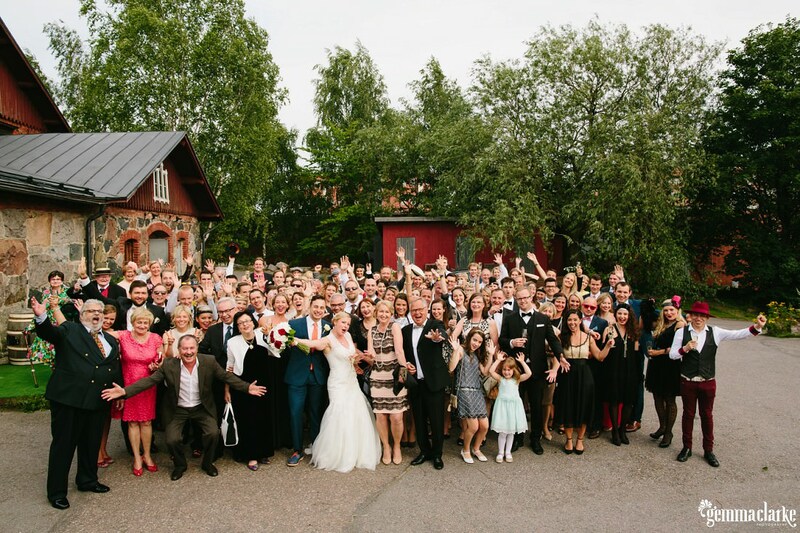 This was truly an International wedding with people coming from the USA, Australia, Germany, Russia and of course Finland. 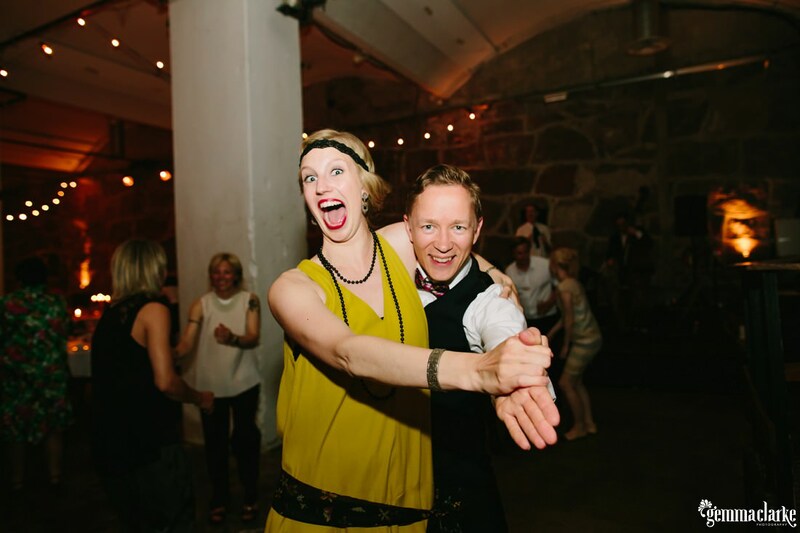 I would love to take the credit for how much fun you see in the photos of Heini and Miska but I really can’t, it is all them! 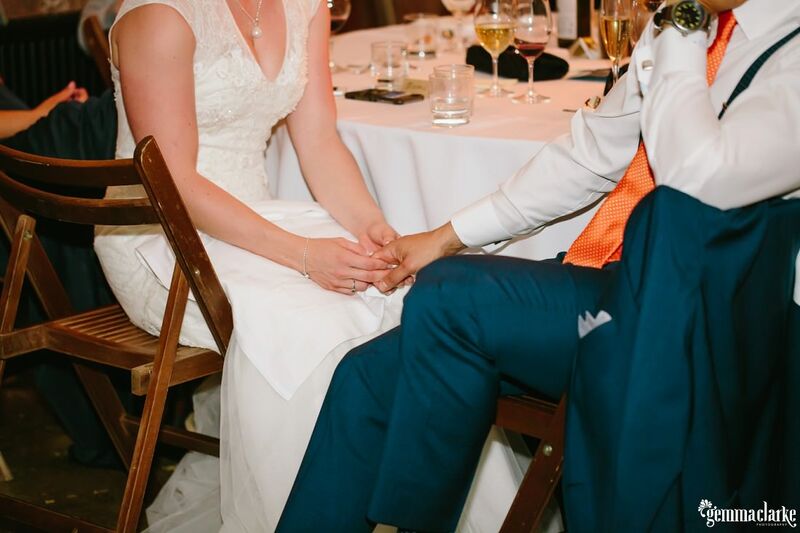 They are just so totally in love and comfortable with showing that love in front of people that I really didn’t need to do much at all. 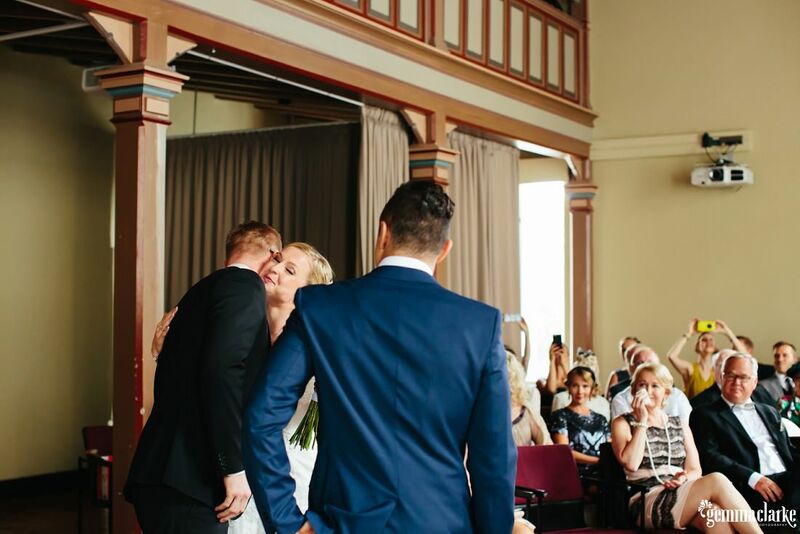 Other than carrying heavy cameras around, I felt like a guest being brought into this wonderful celebration where everyone was having a great time! 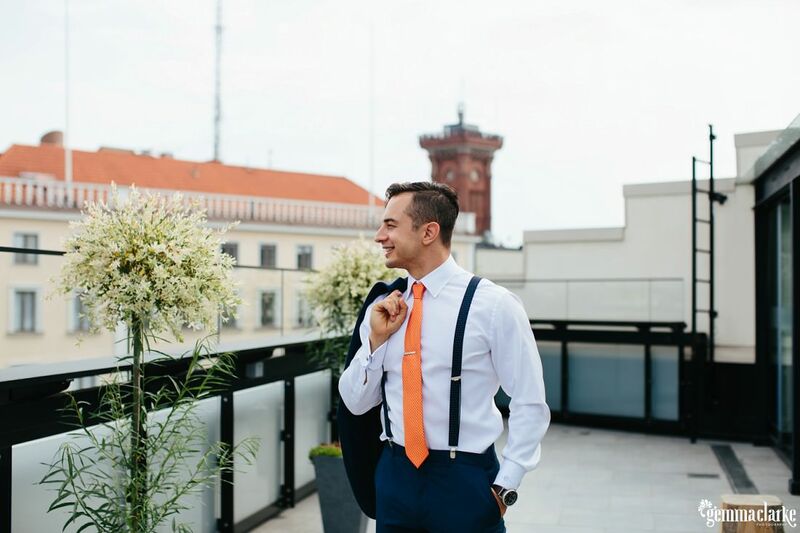 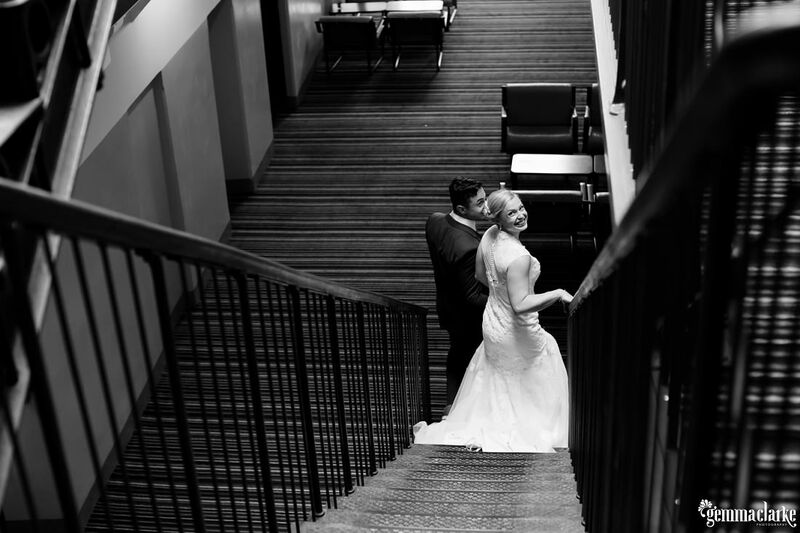 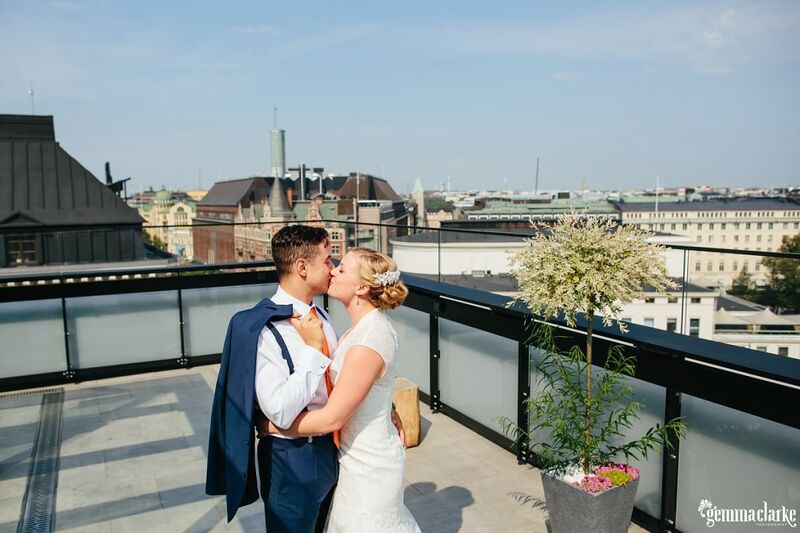 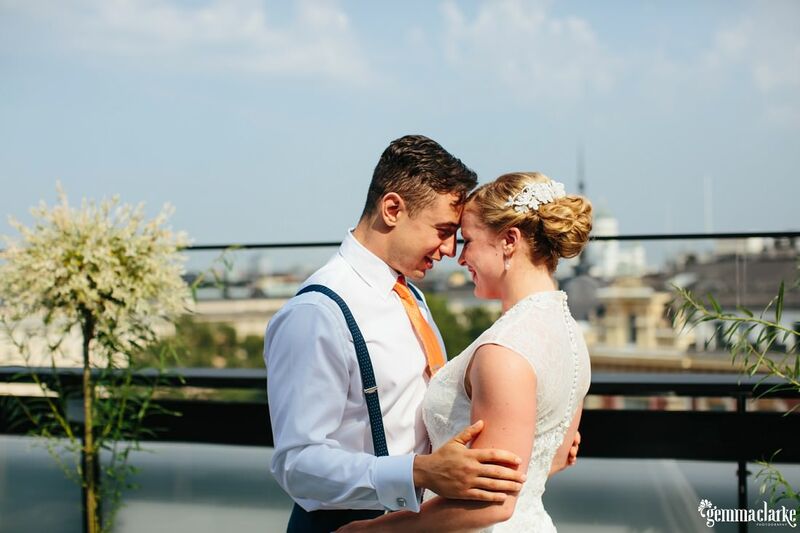 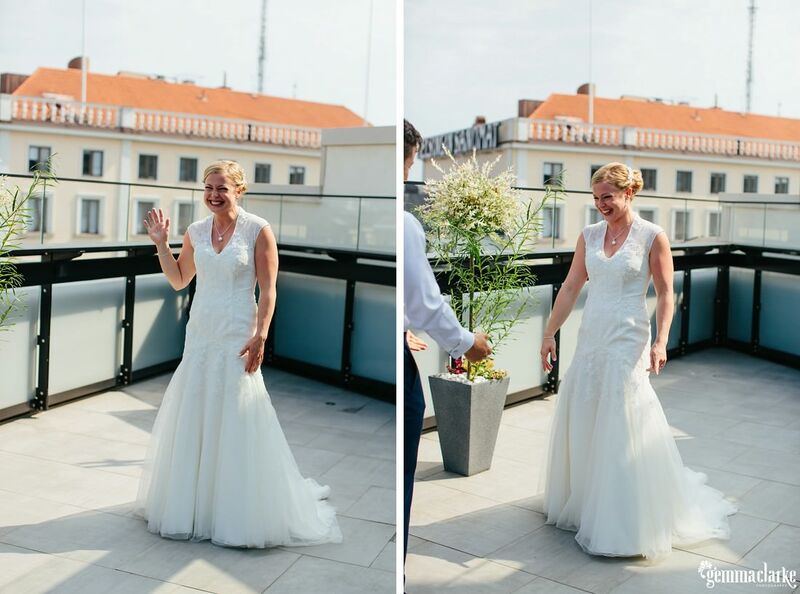 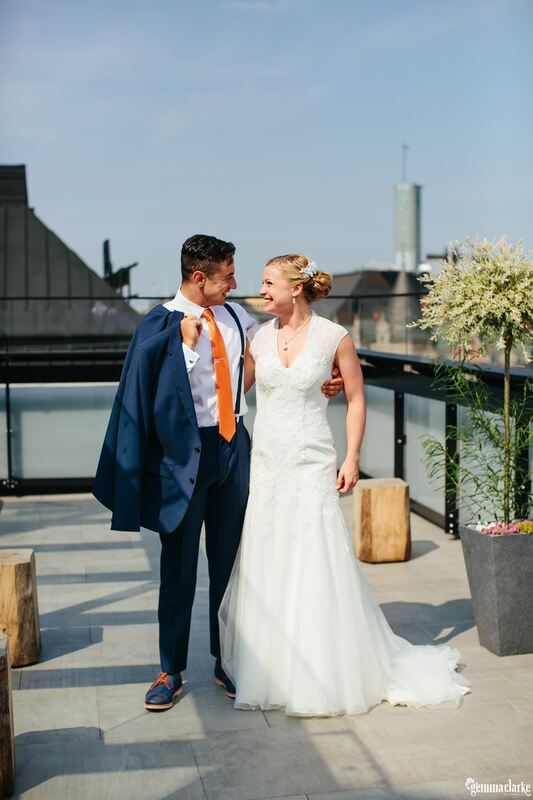 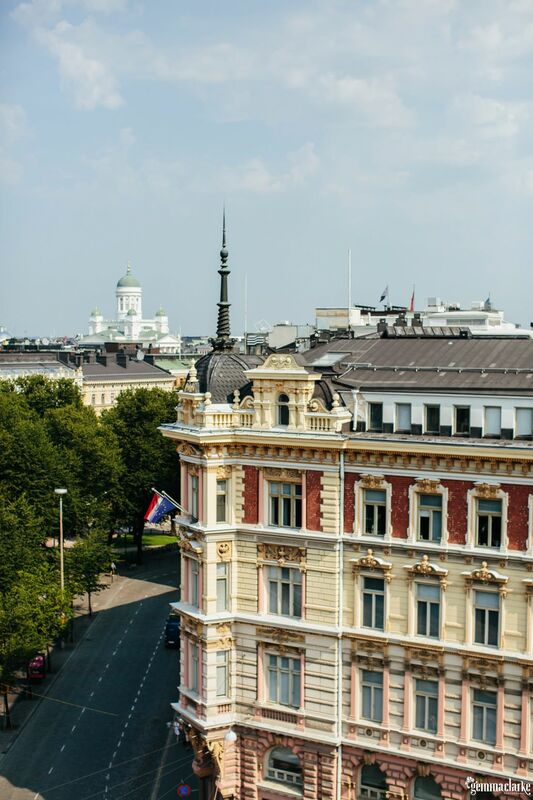 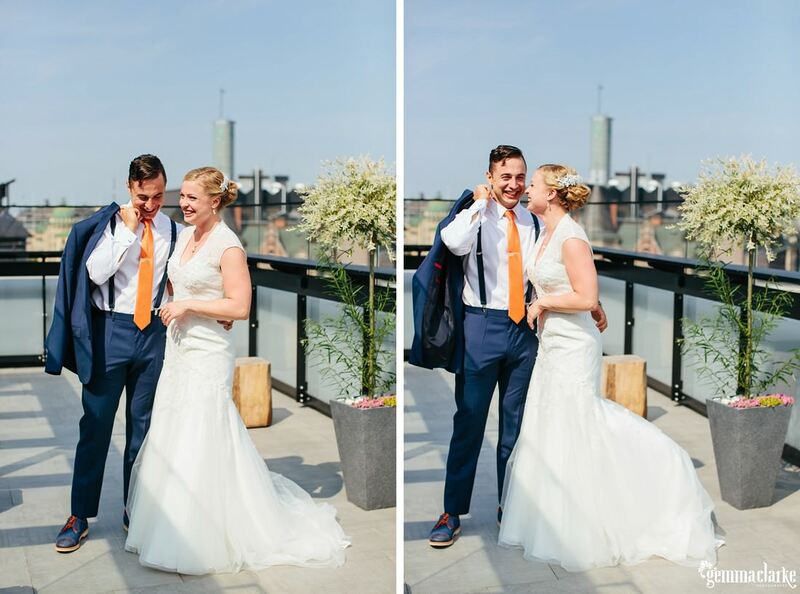 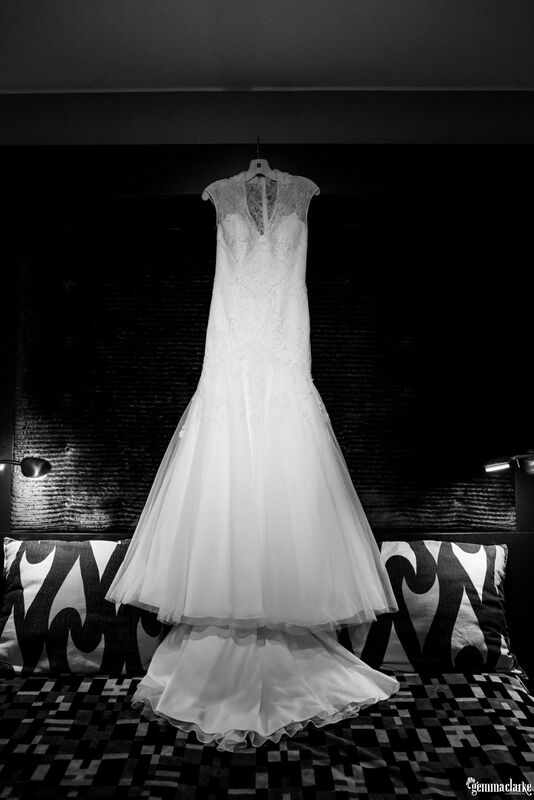 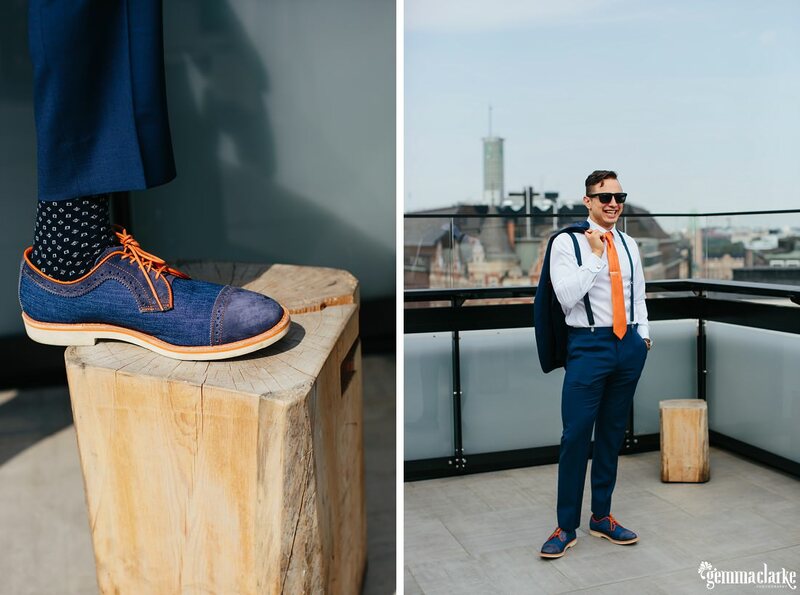 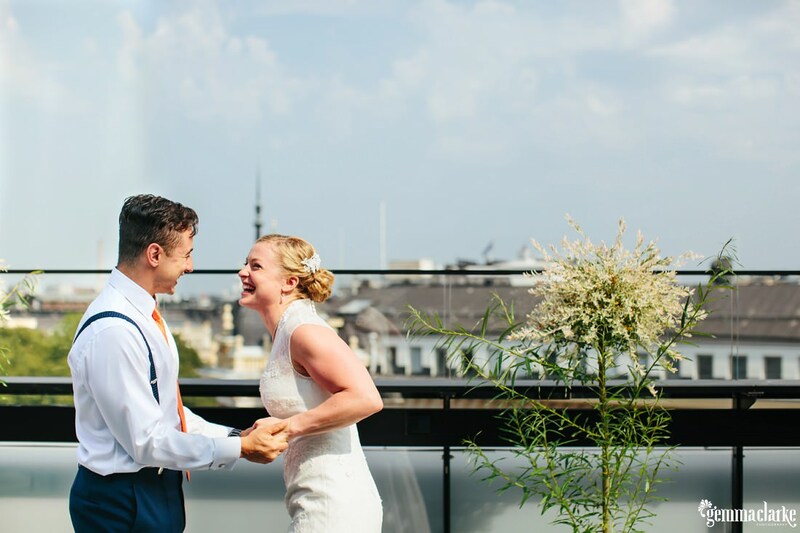 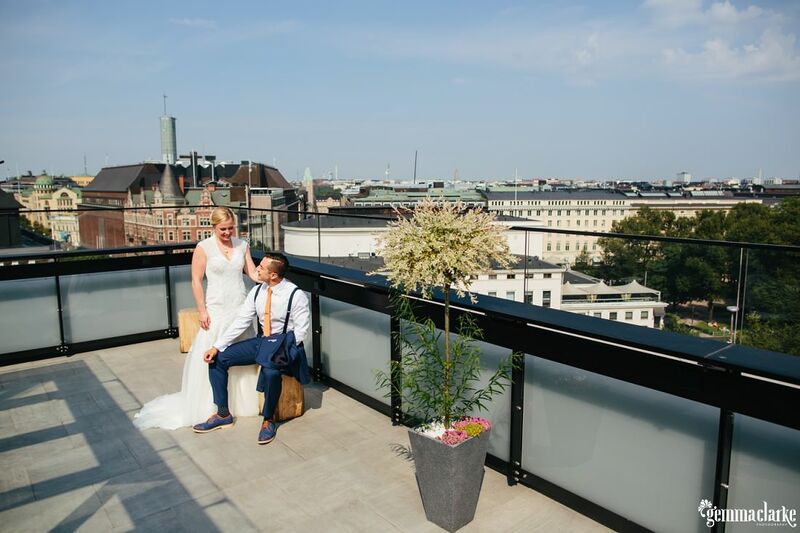 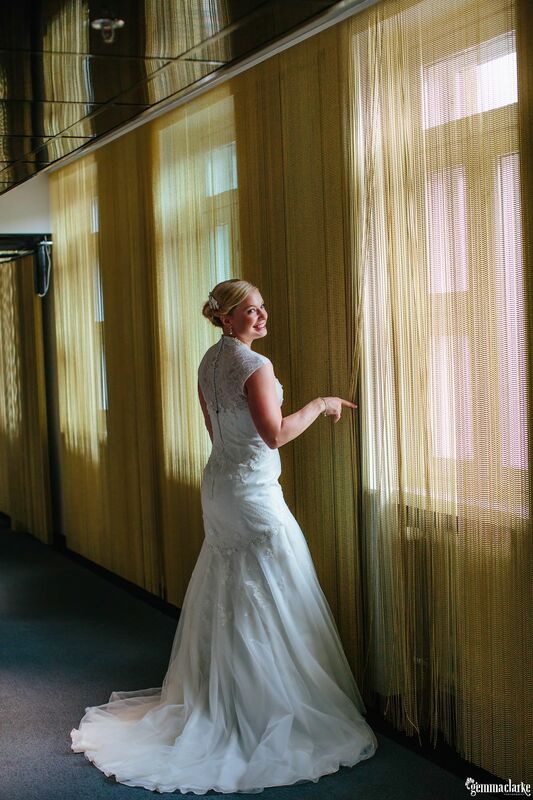 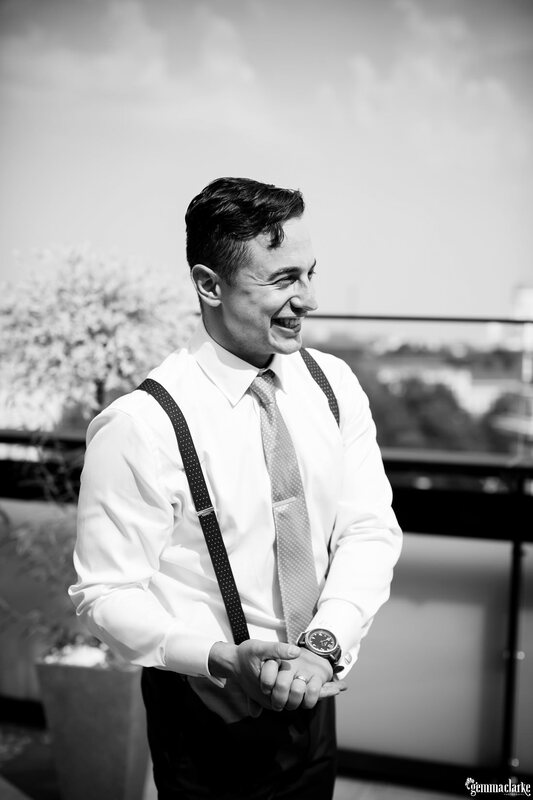 I invite you to look over this amazing day and be sure not to miss their ‘first look’ photos which were taken on the rooftop terrace of the Klaus K Hotel. 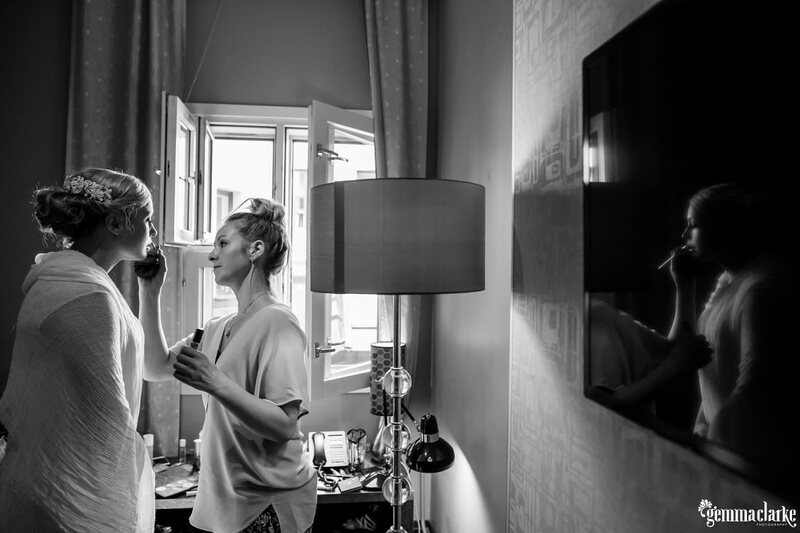 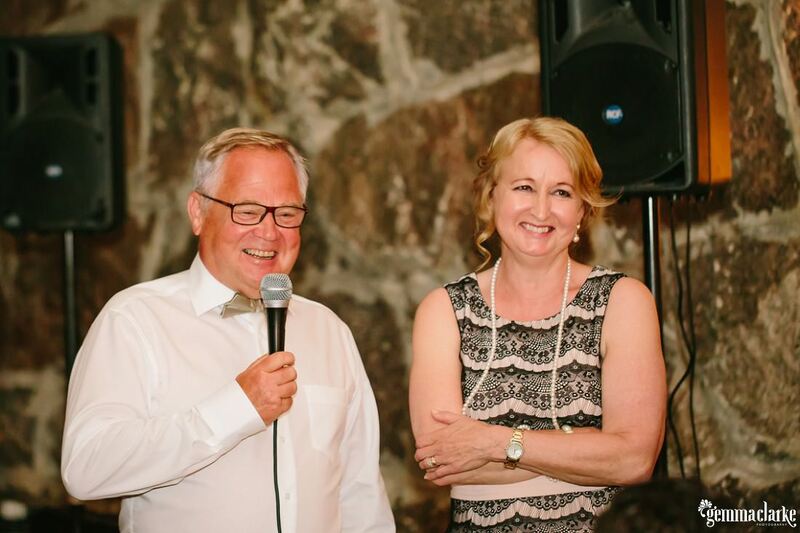 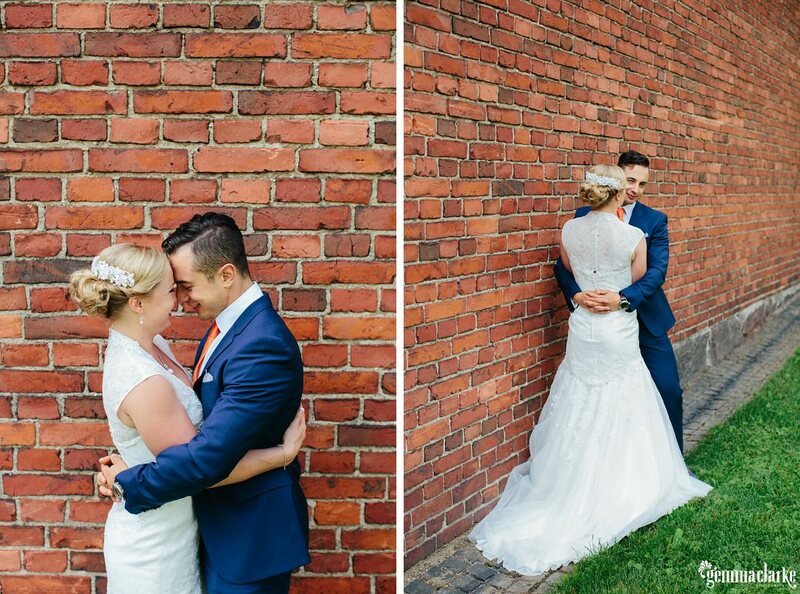 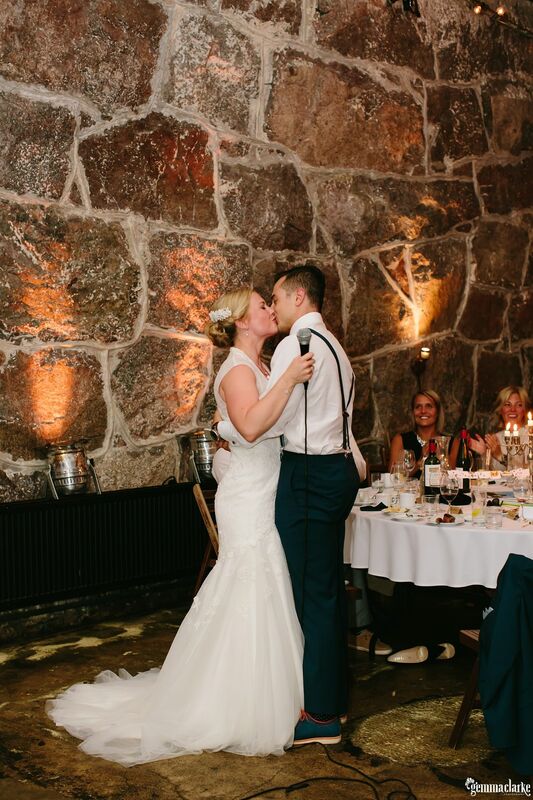 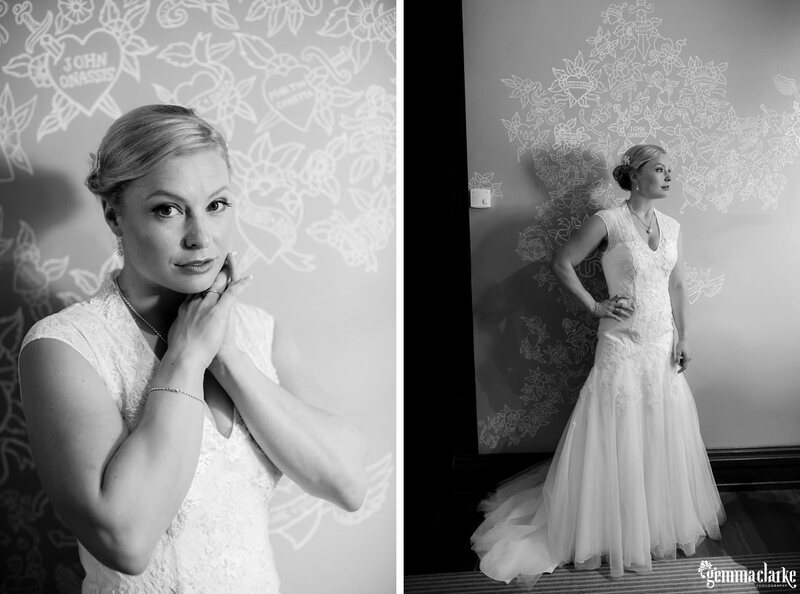 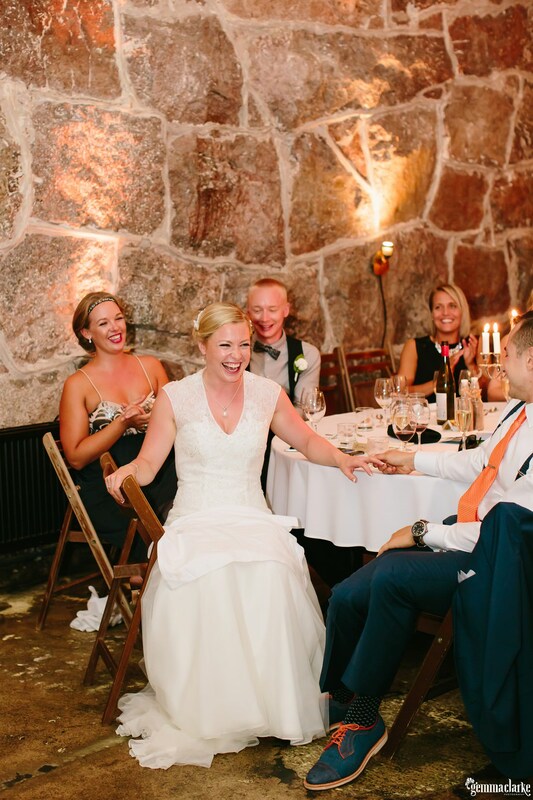 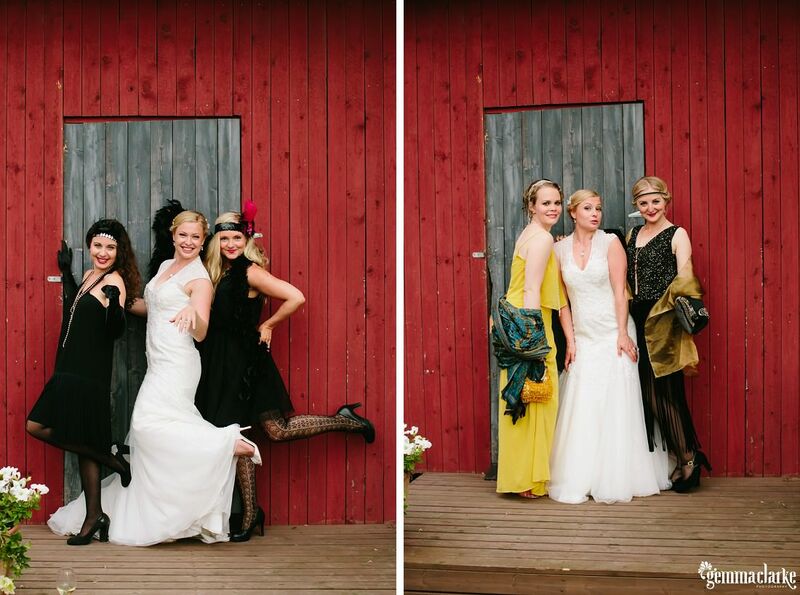 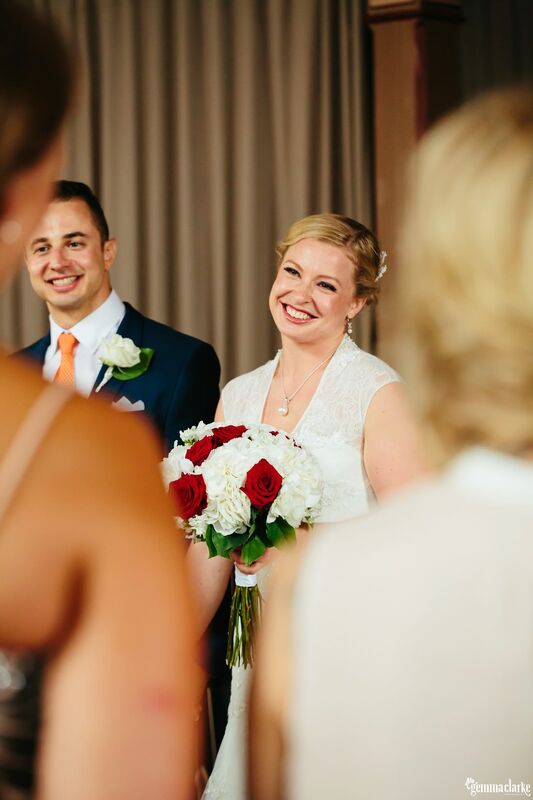 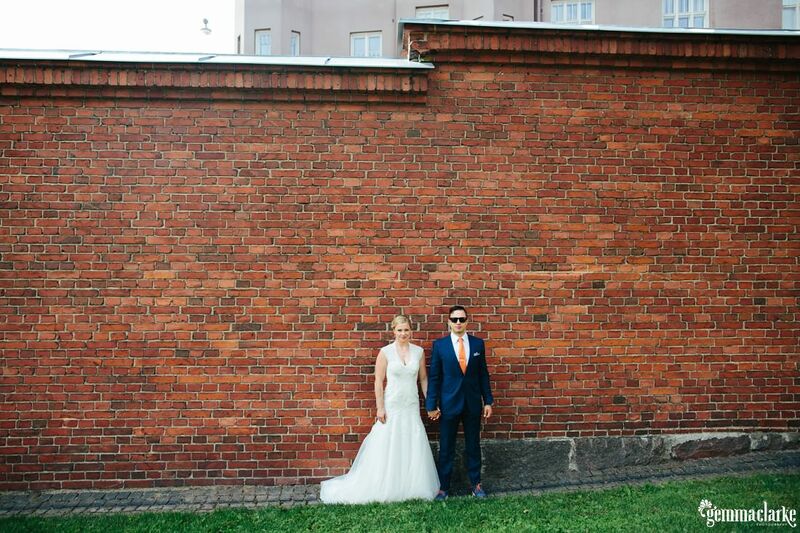 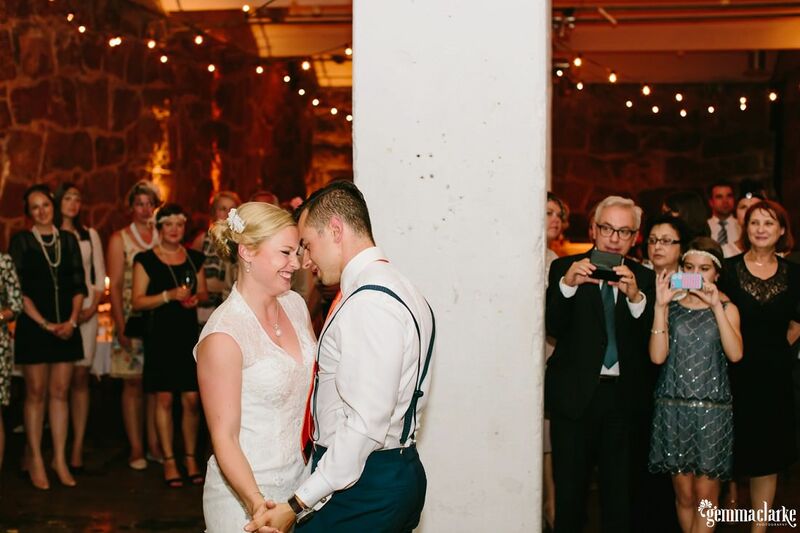 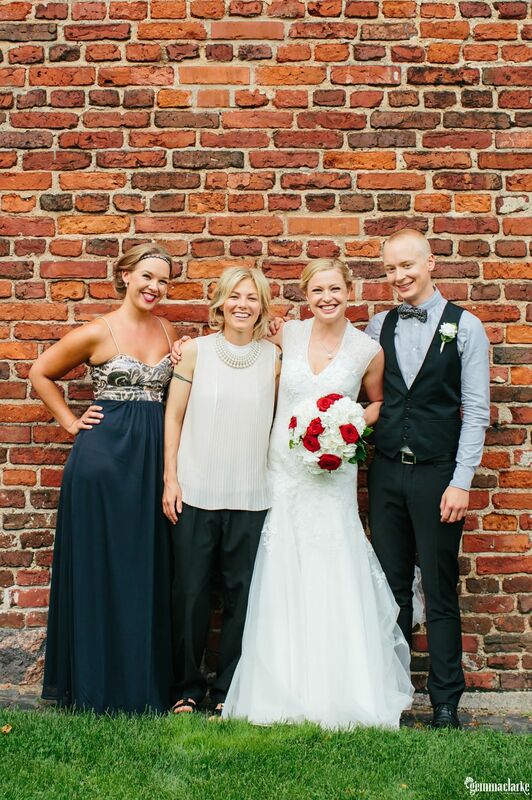 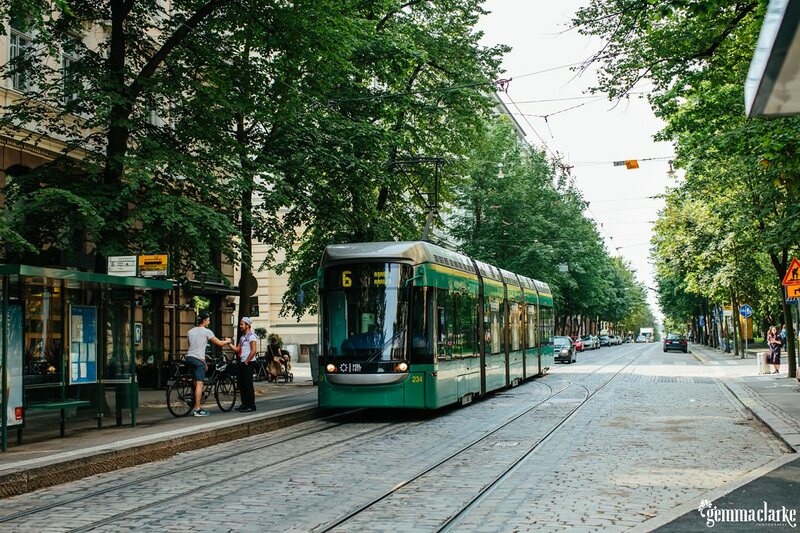 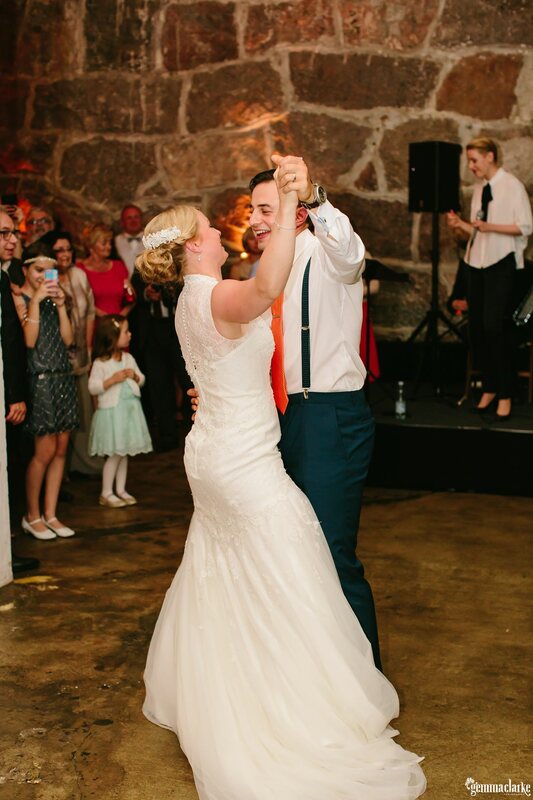 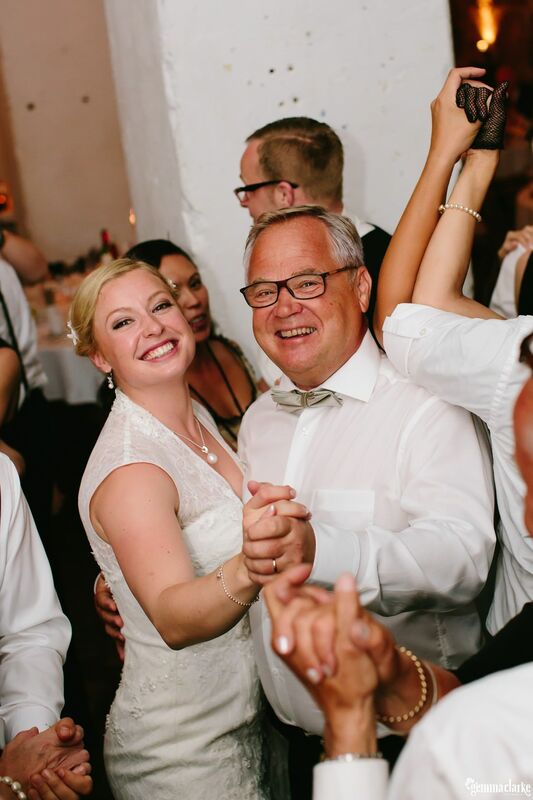 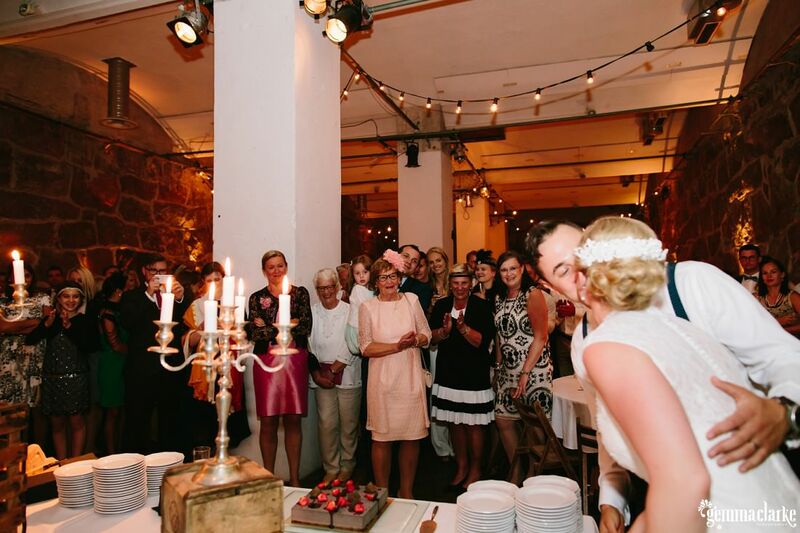 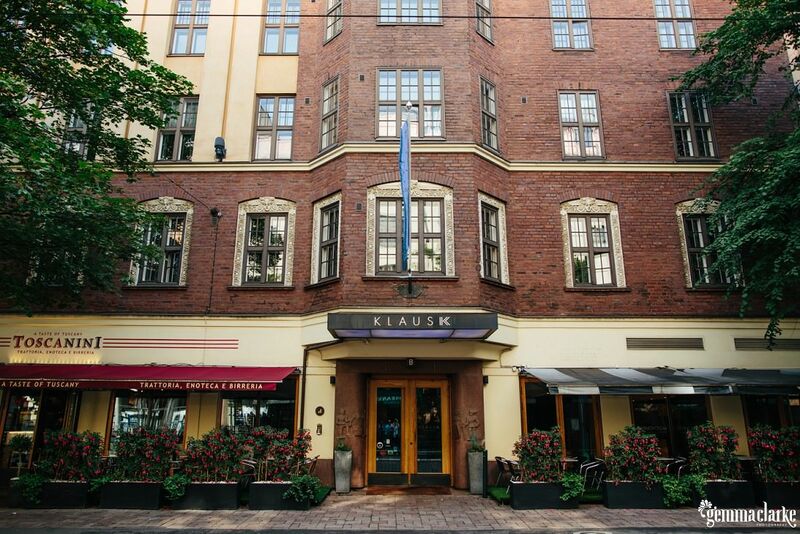 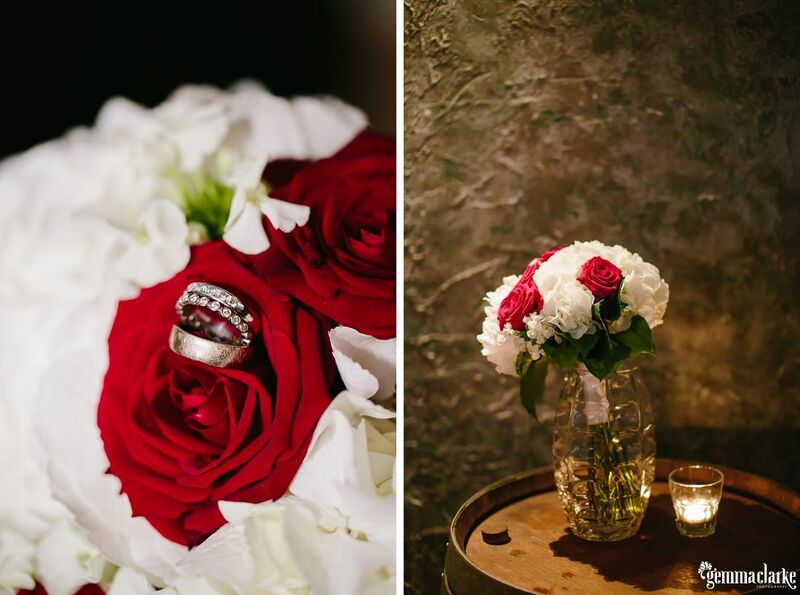 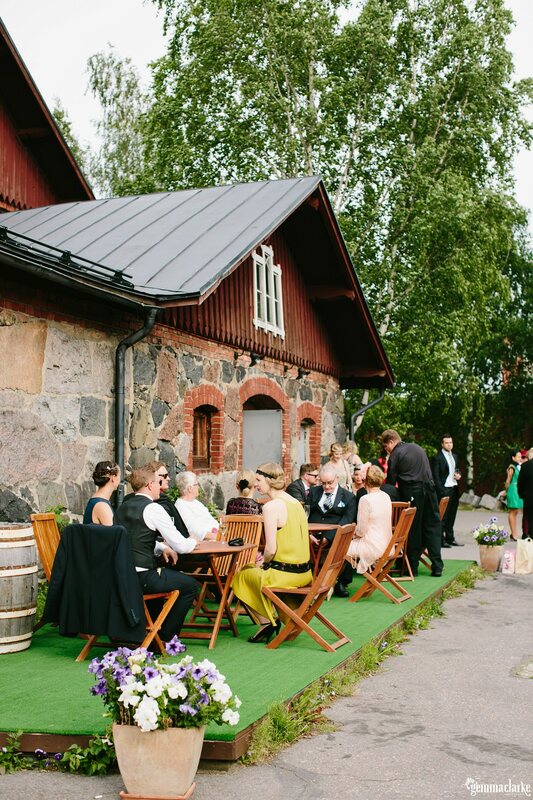 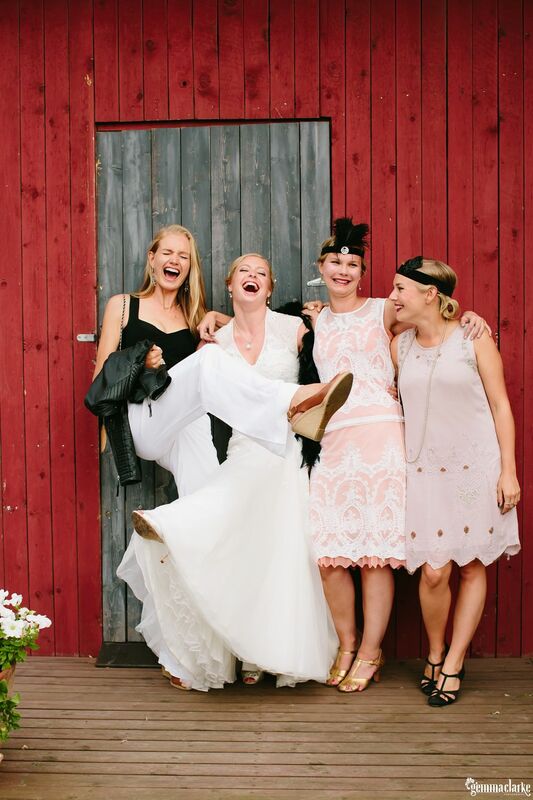 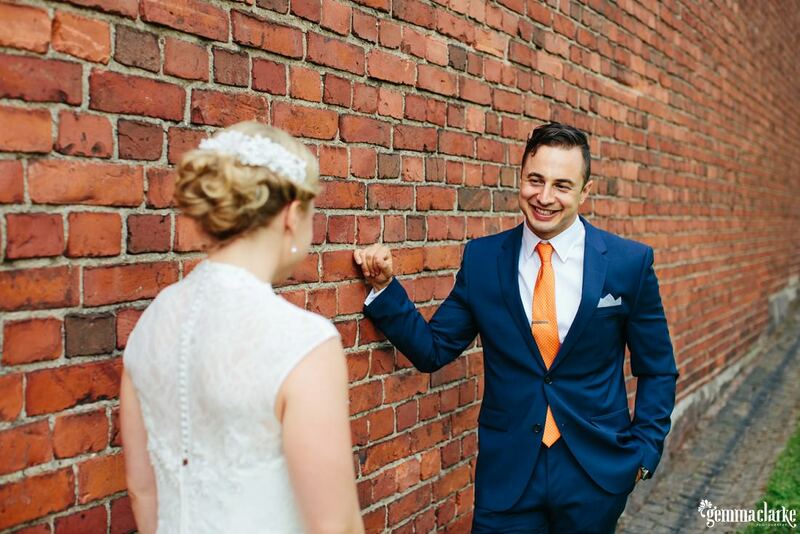 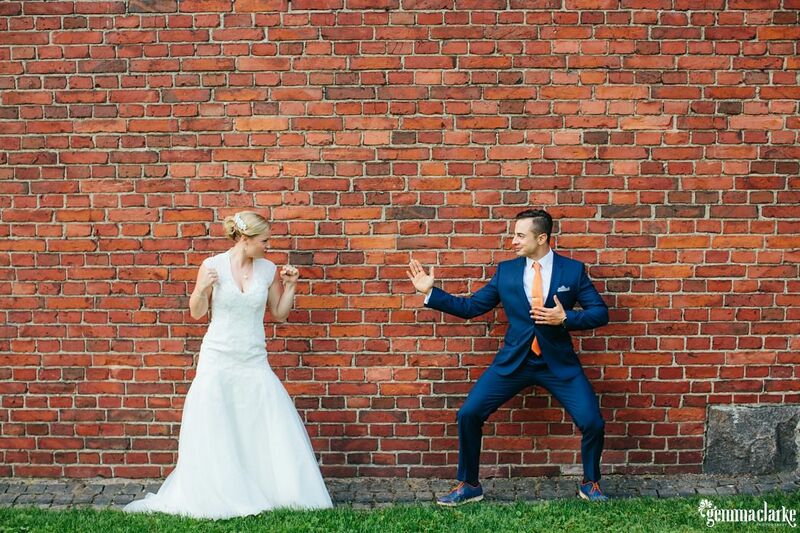 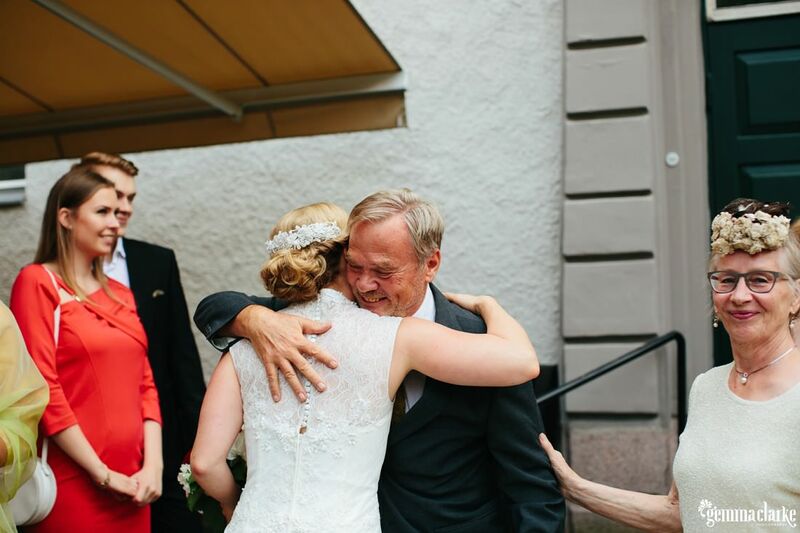 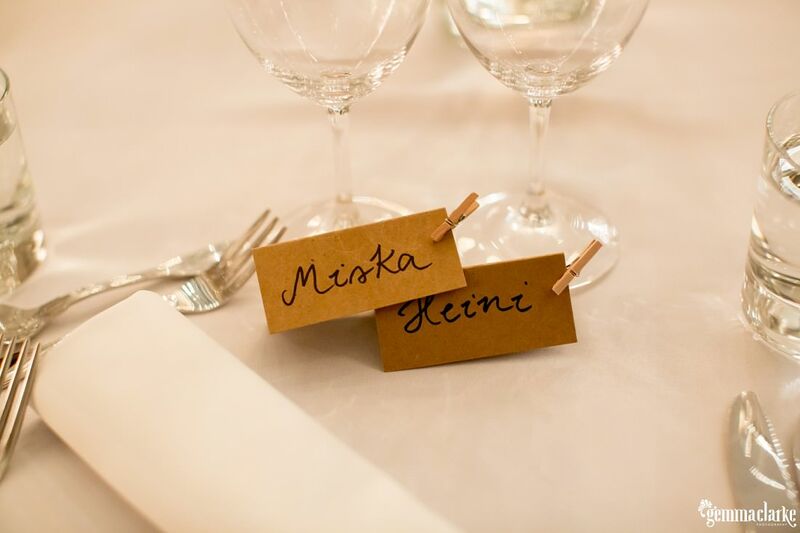 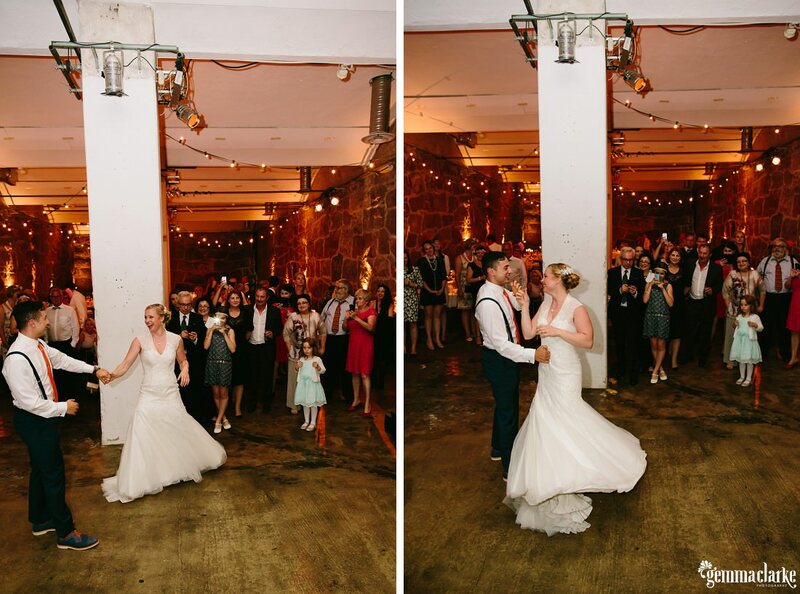 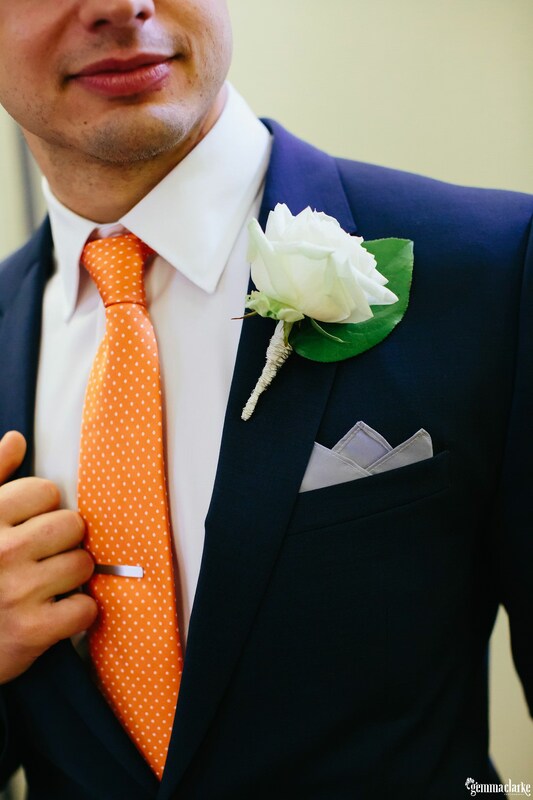 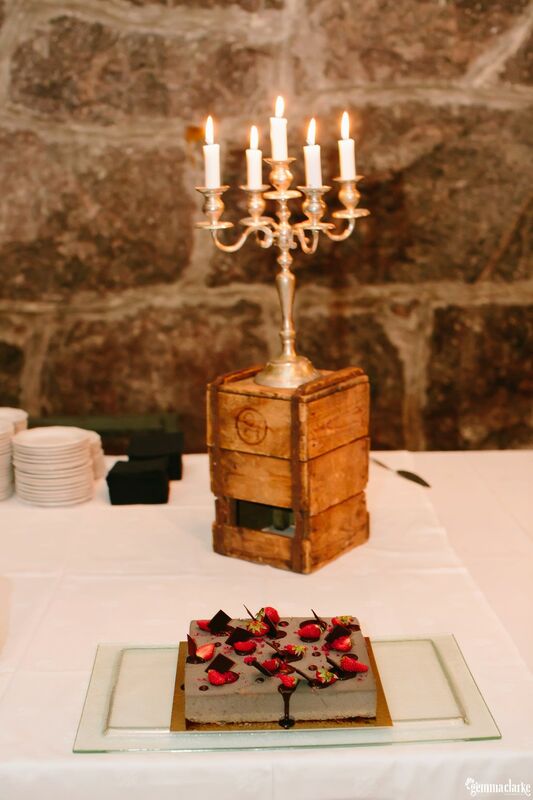 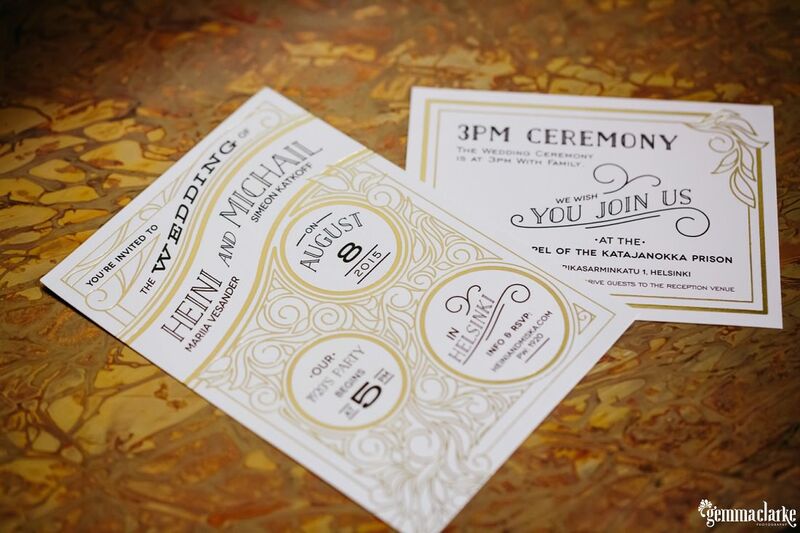 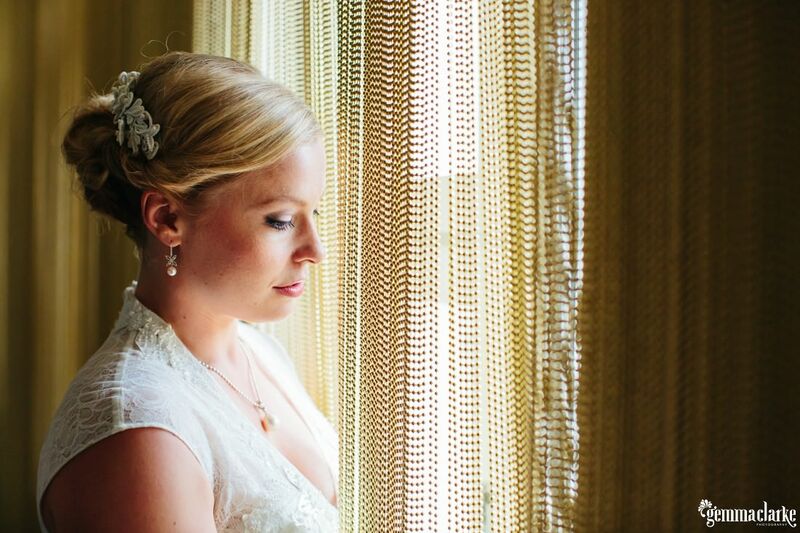 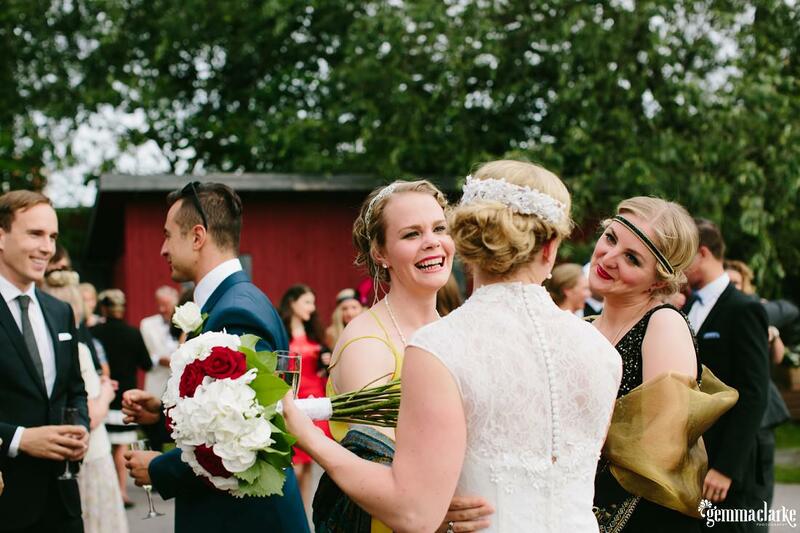 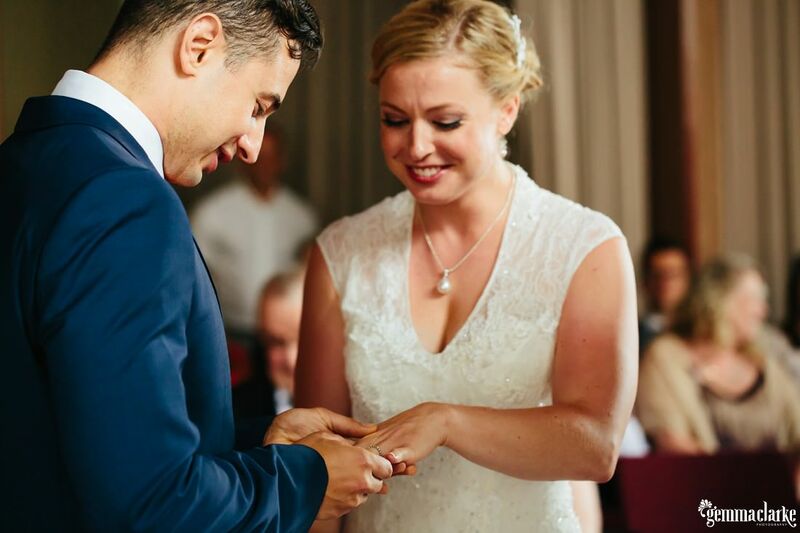 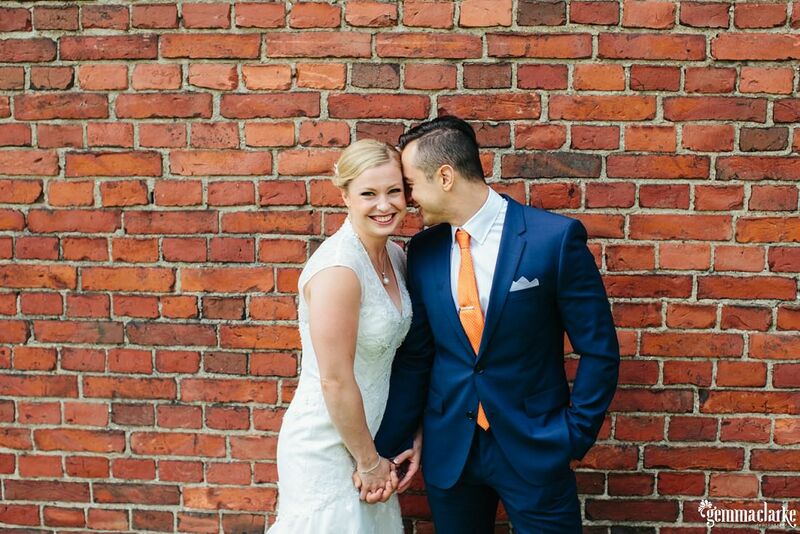 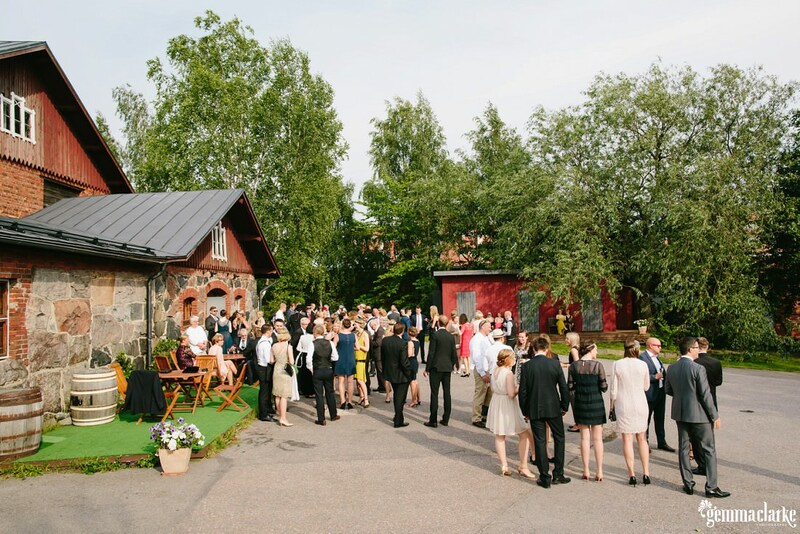 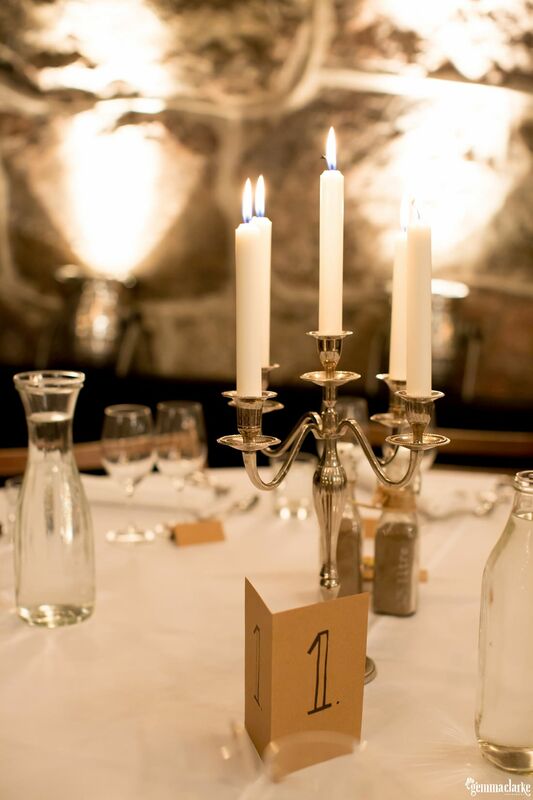 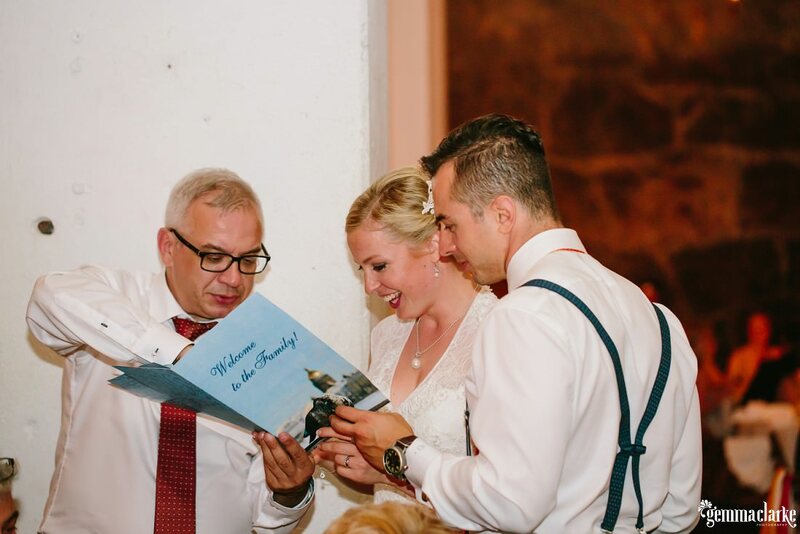 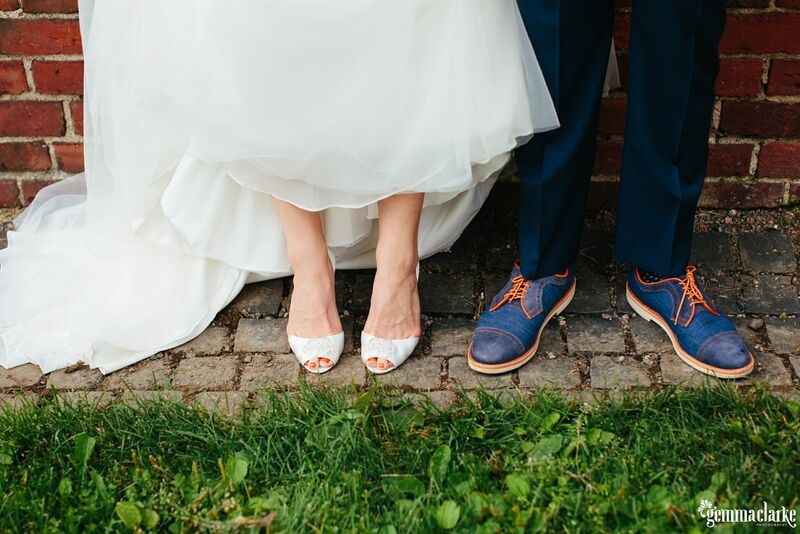 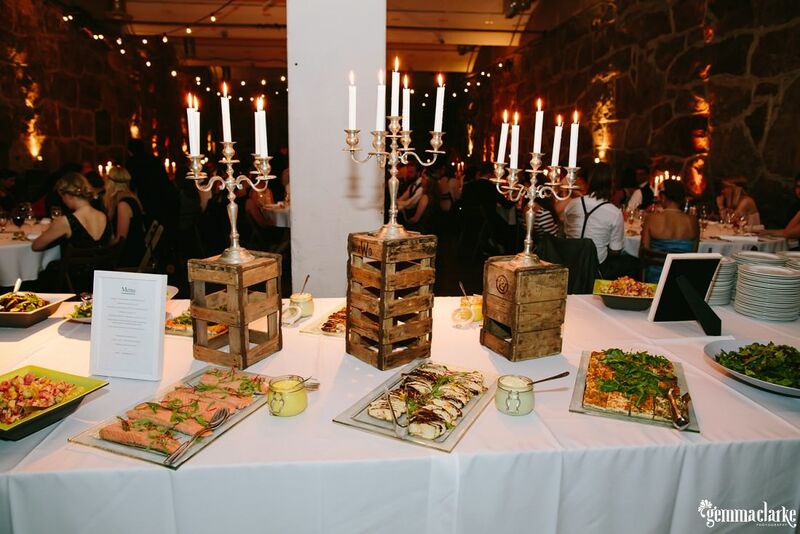 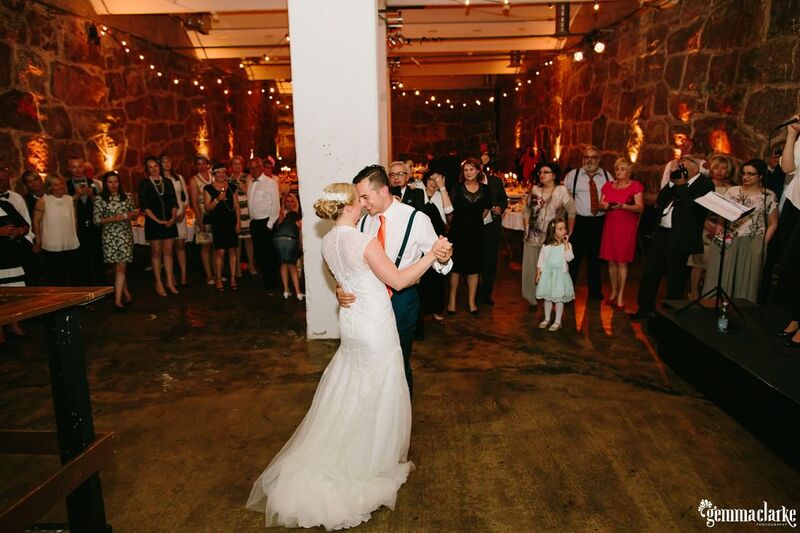 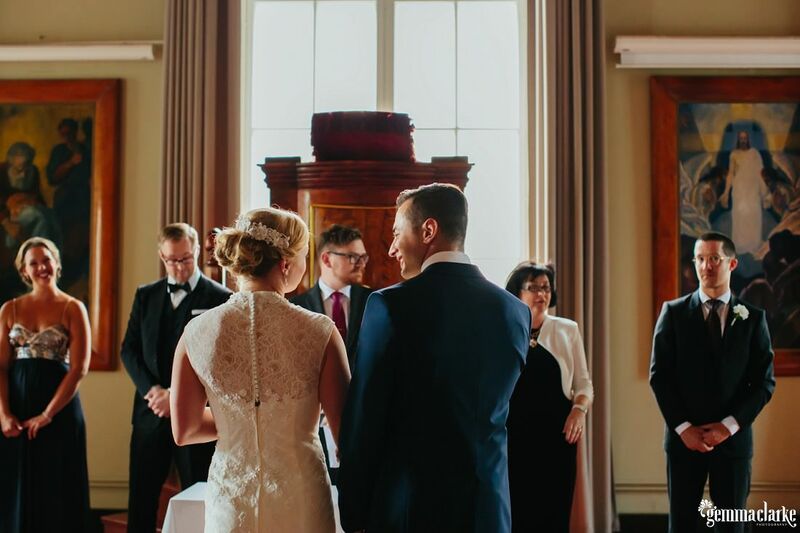 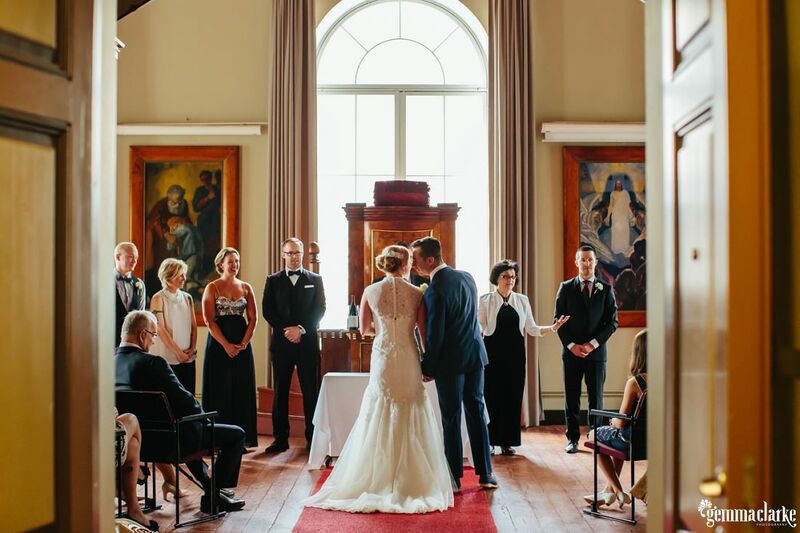 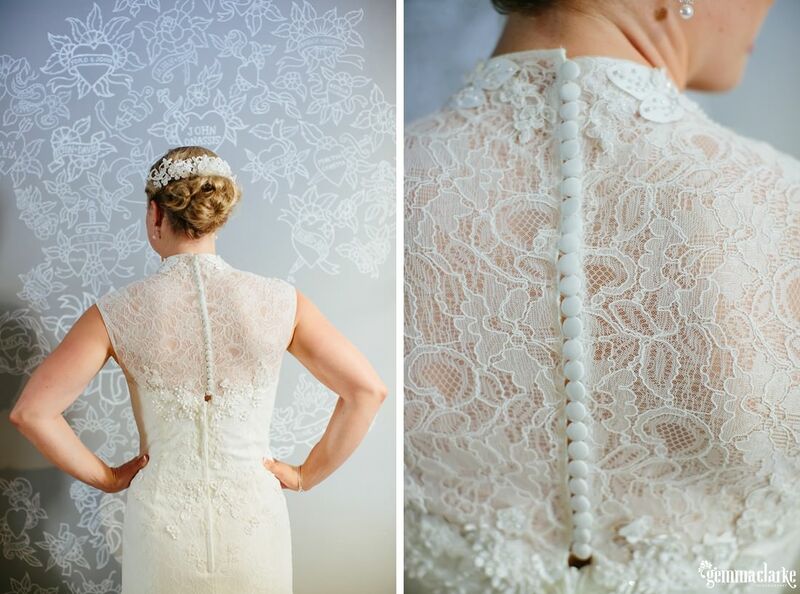 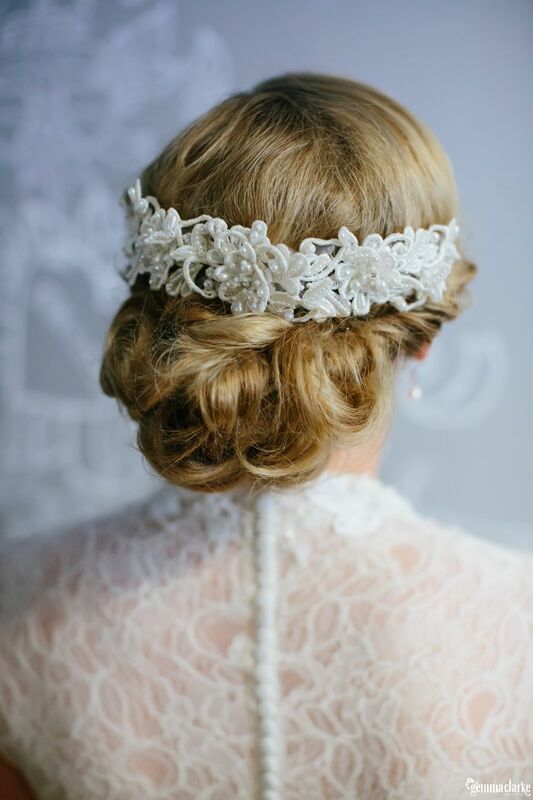 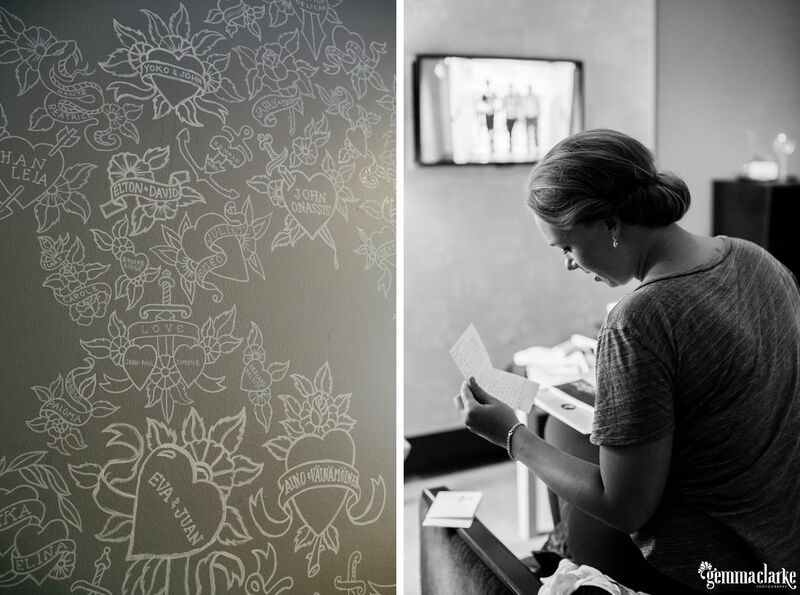 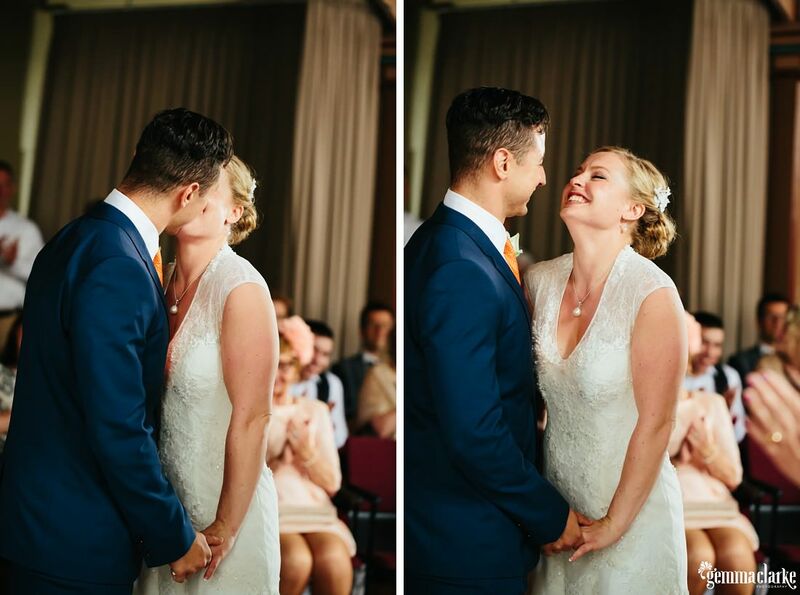 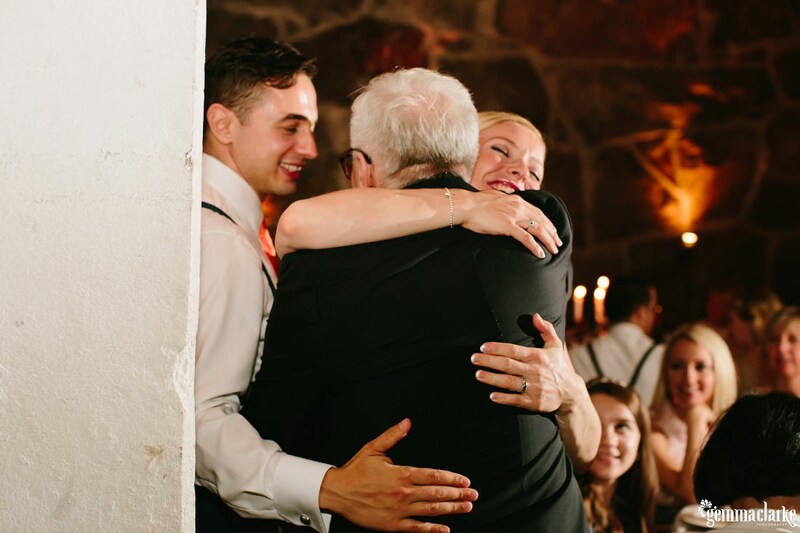 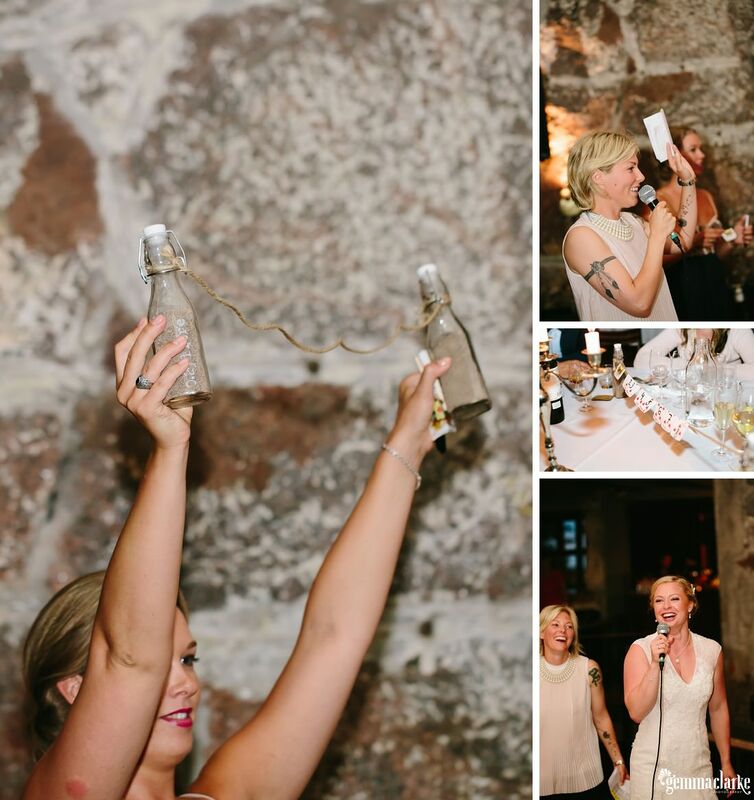 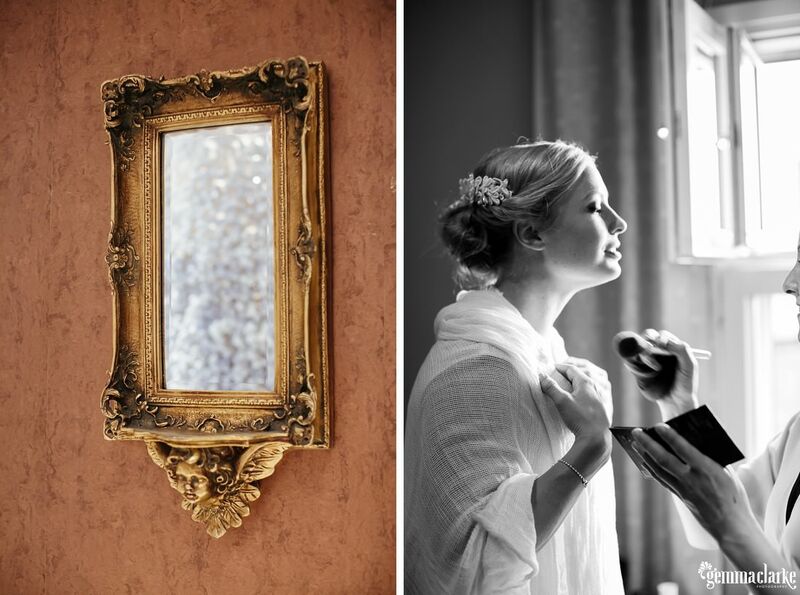 Katajanokka Wedding – All the Details!